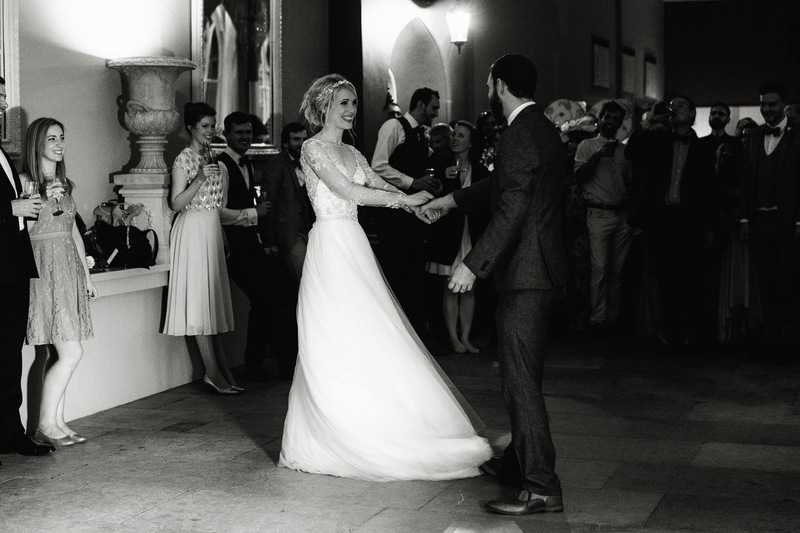 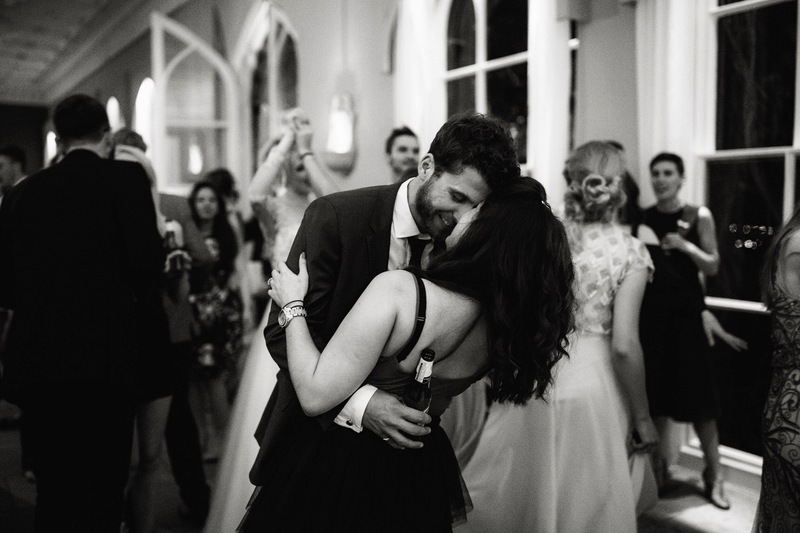 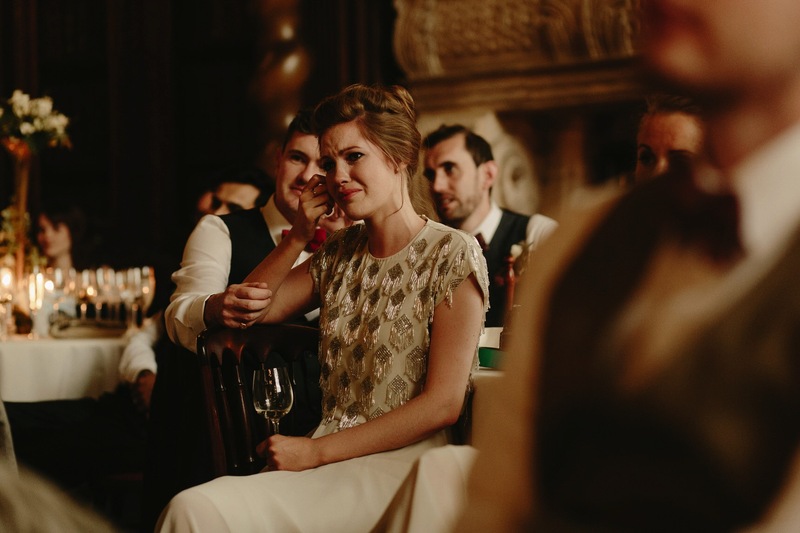 One thing I love about weddings is how personal every couple makes them, influenced by their shared passions and experiences. 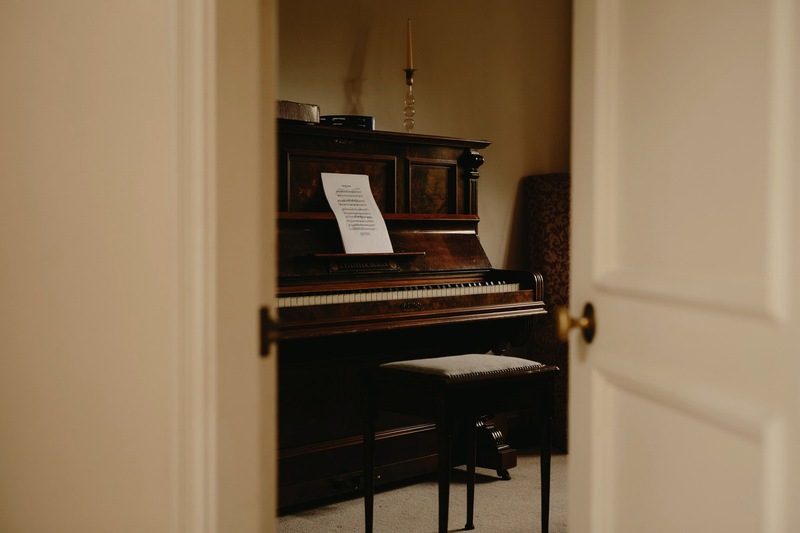 For these guys, music played a key part in the day. 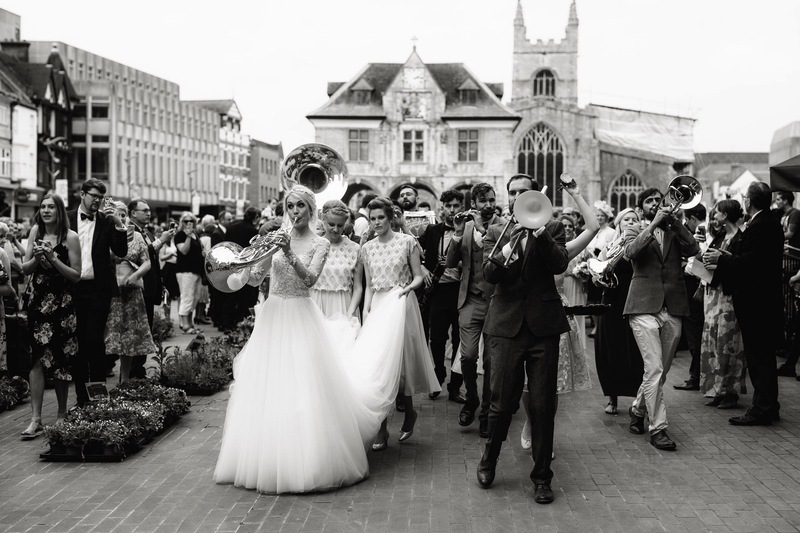 Mickey and Emily are extremely talented musicians who form part of the coolest, progressive brass band performing in street festivals across Europe. 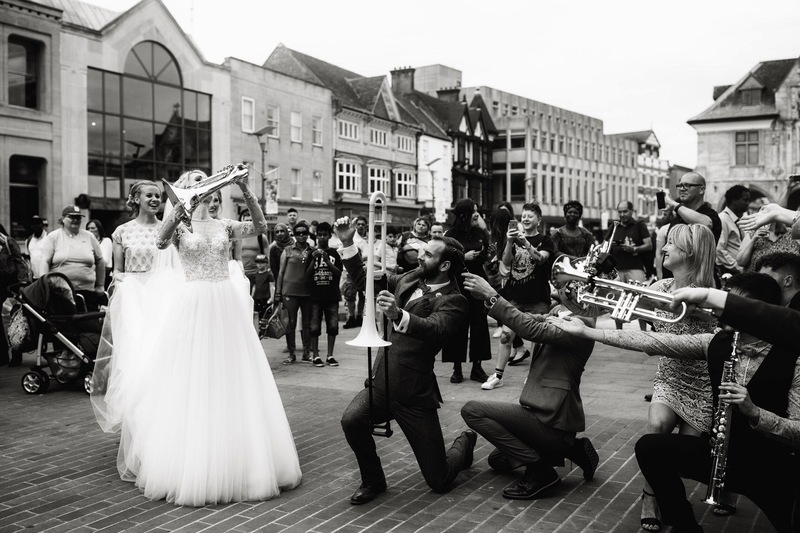 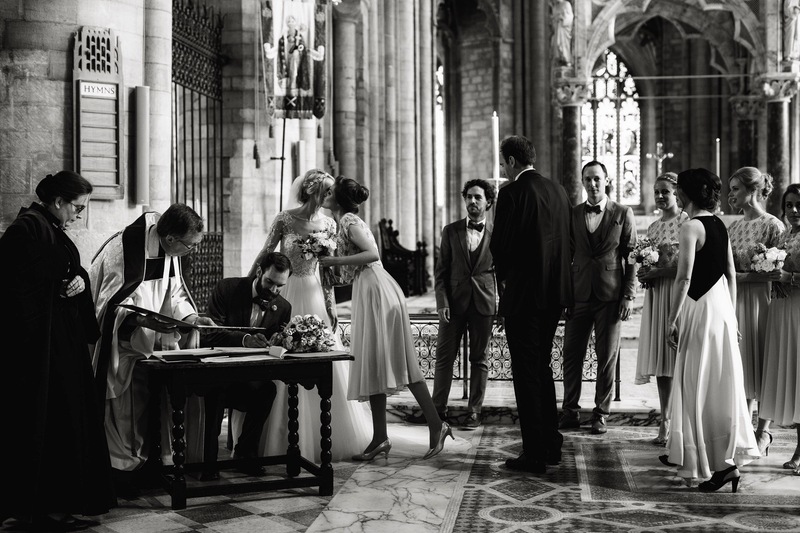 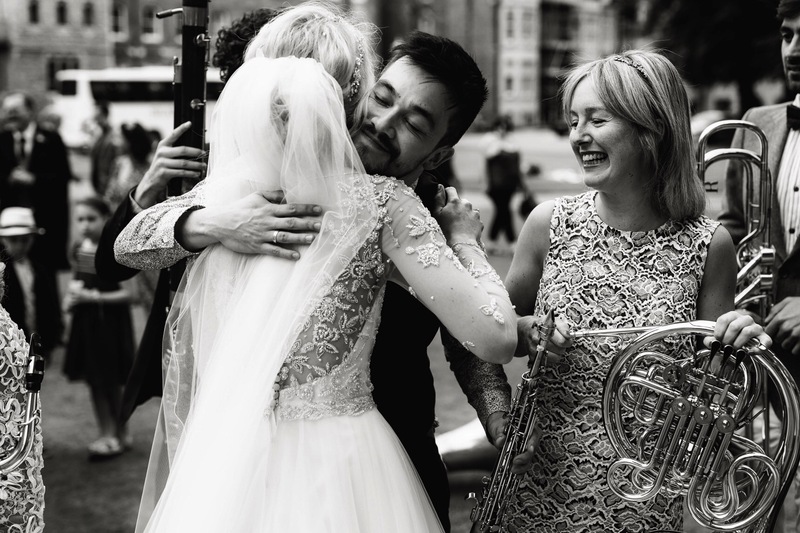 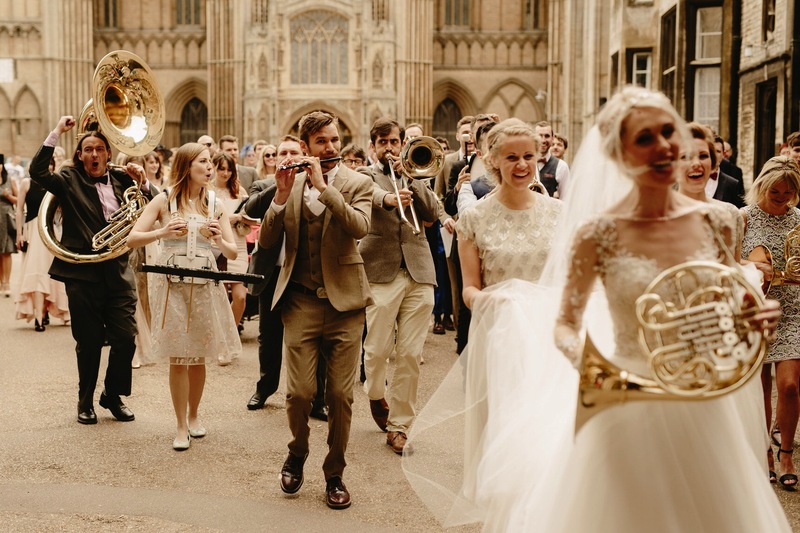 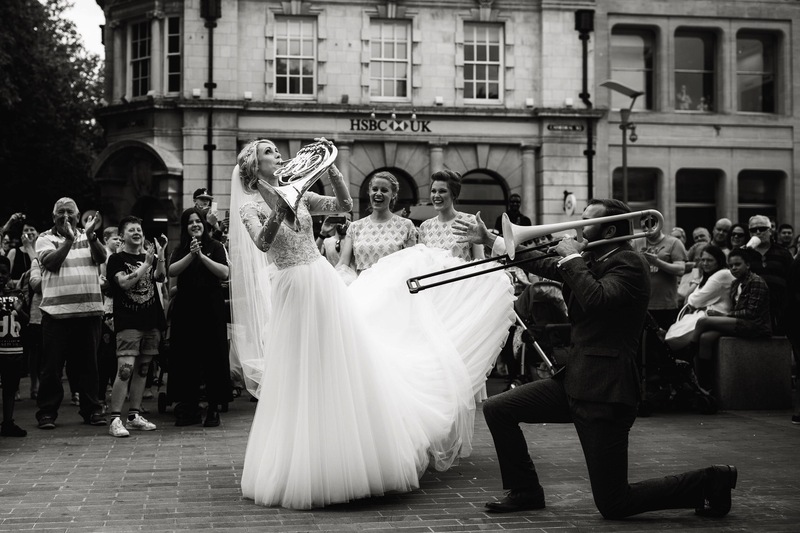 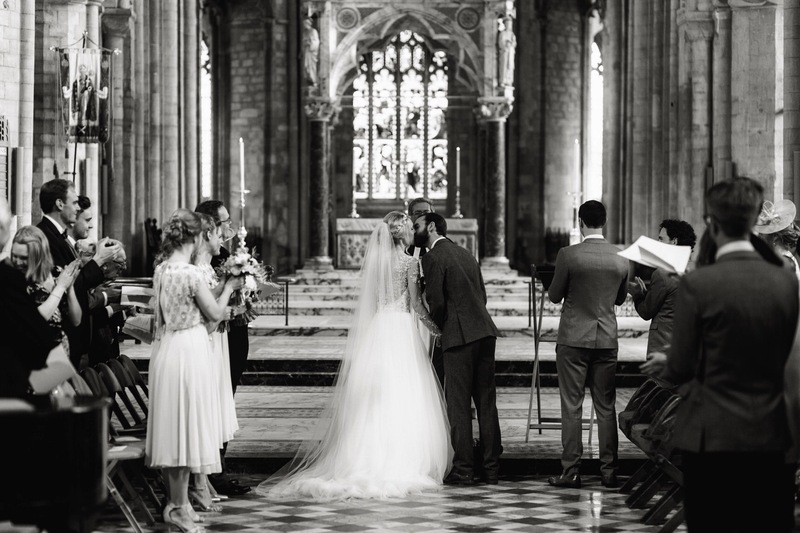 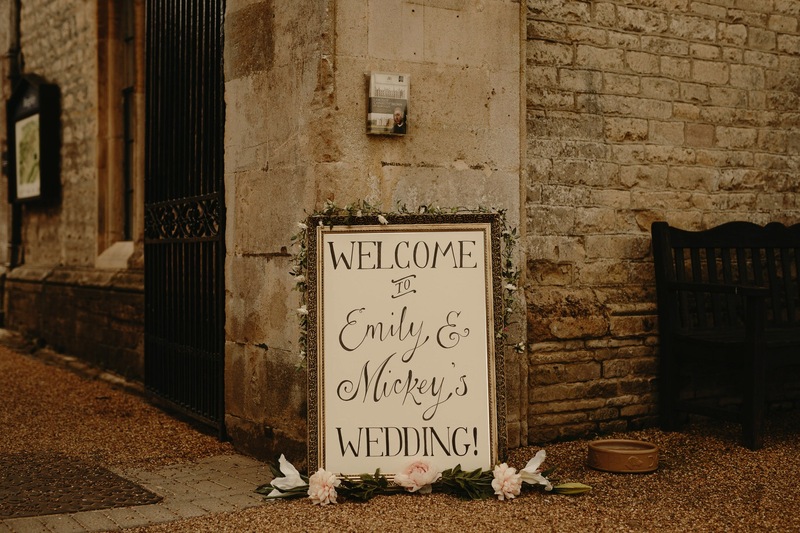 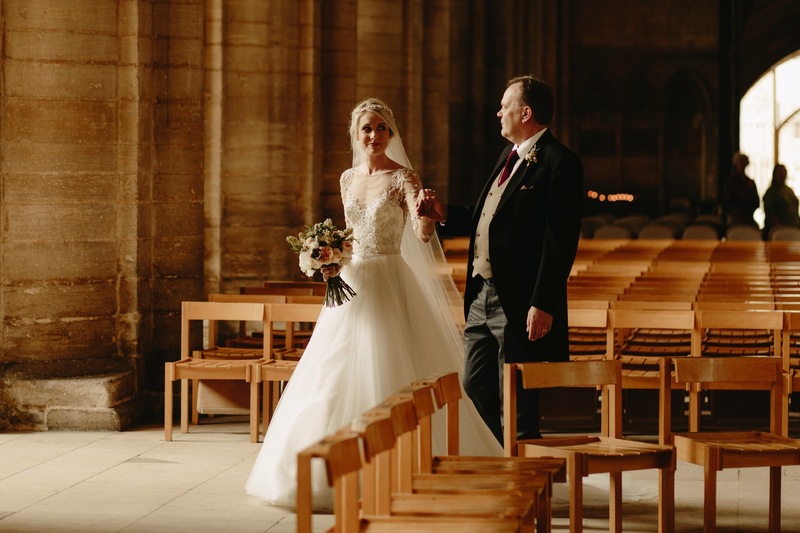 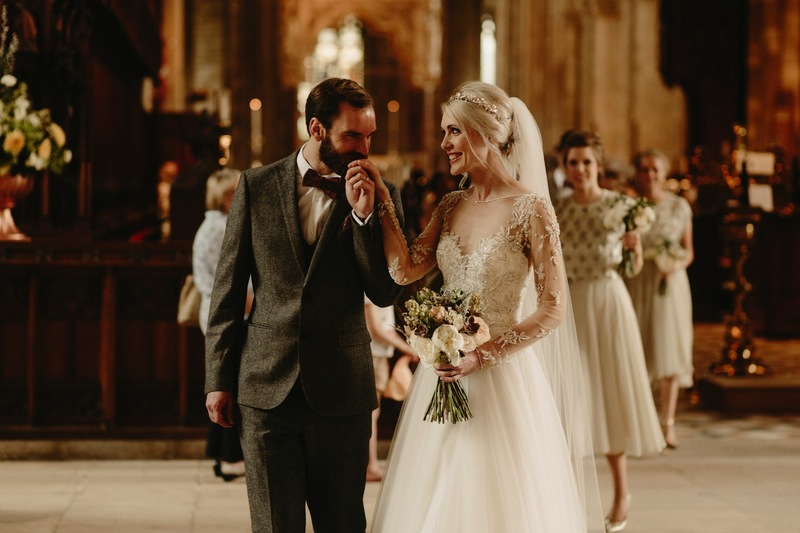 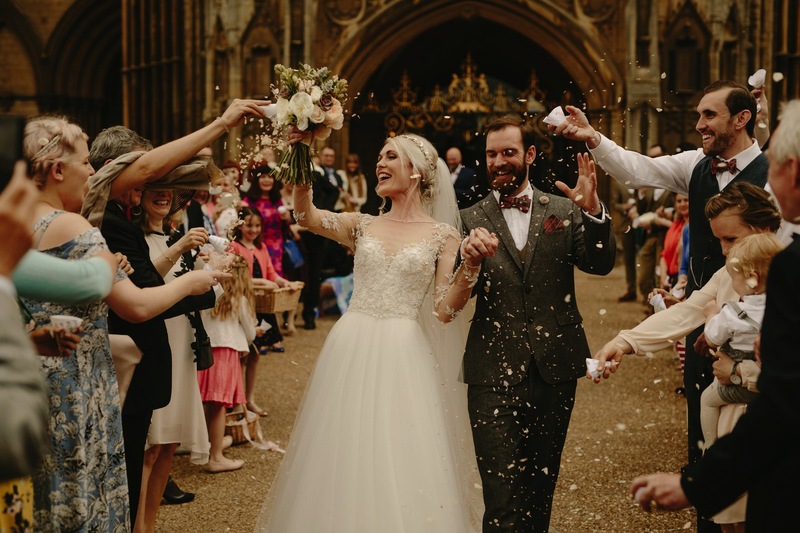 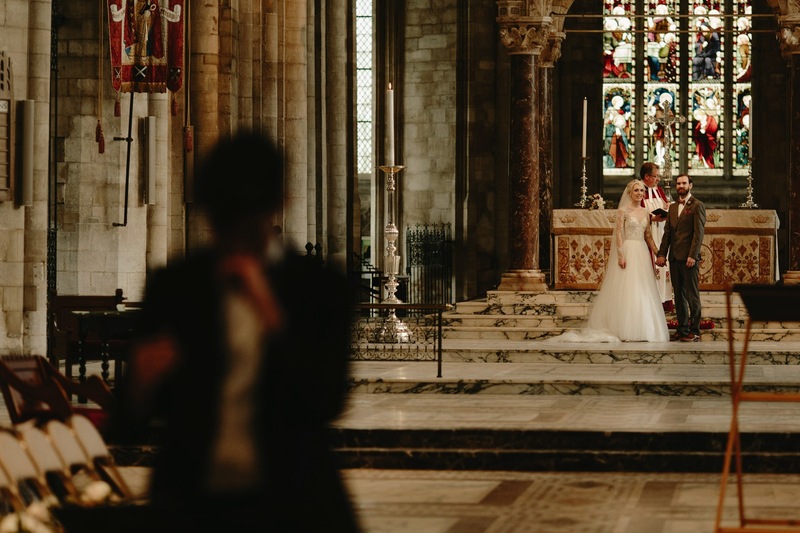 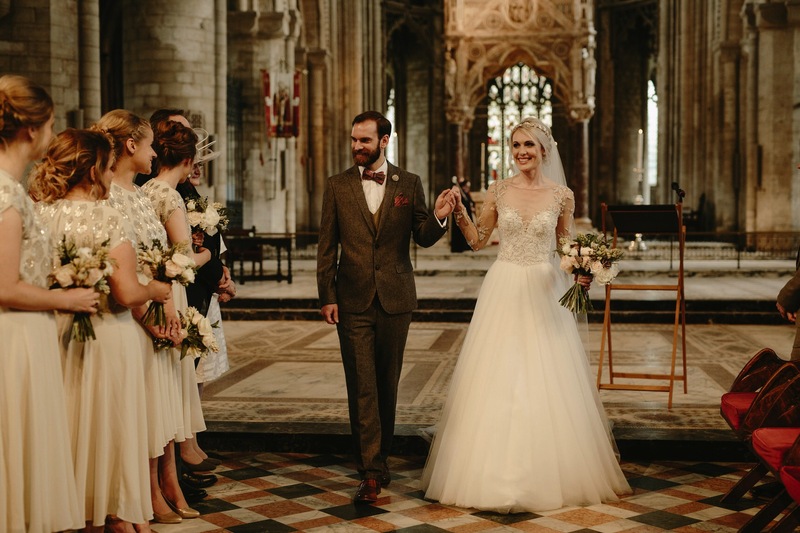 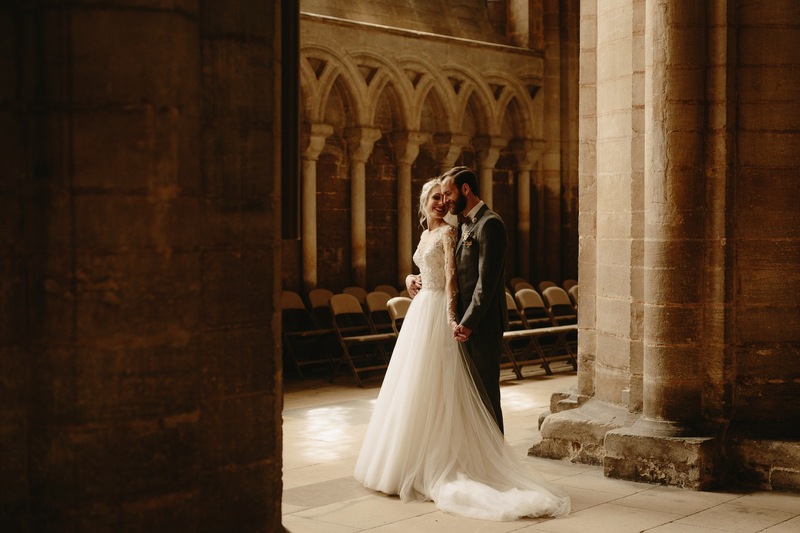 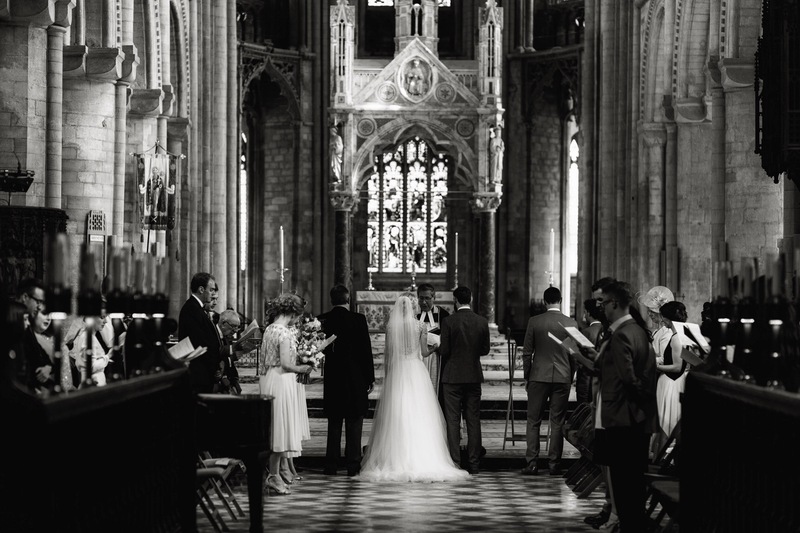 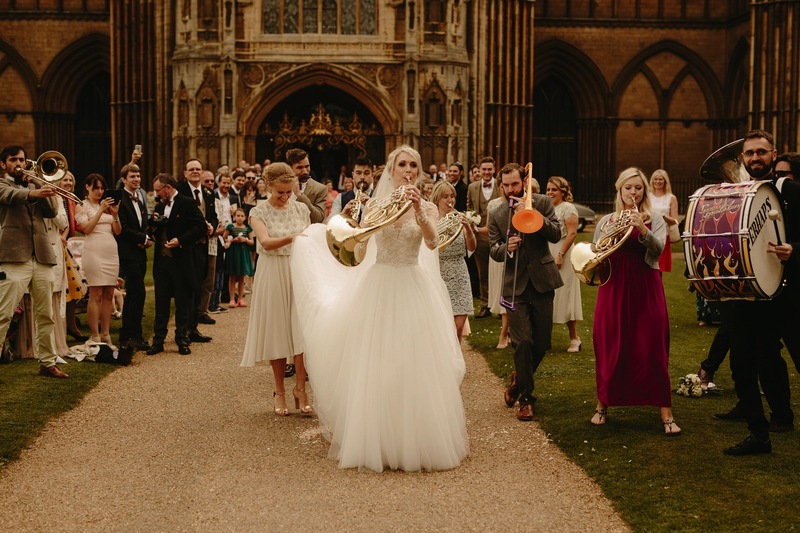 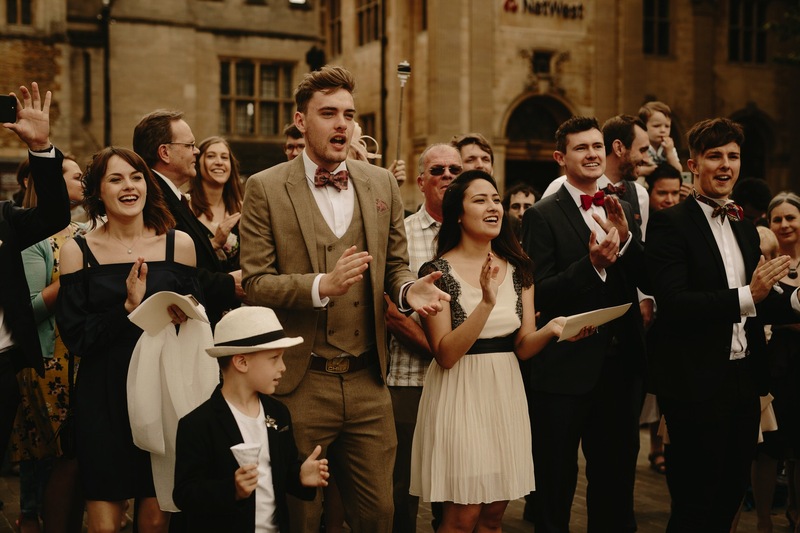 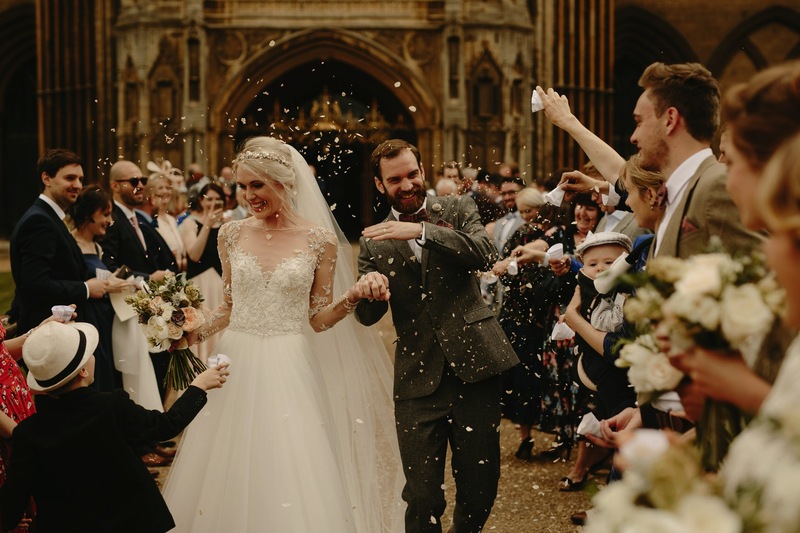 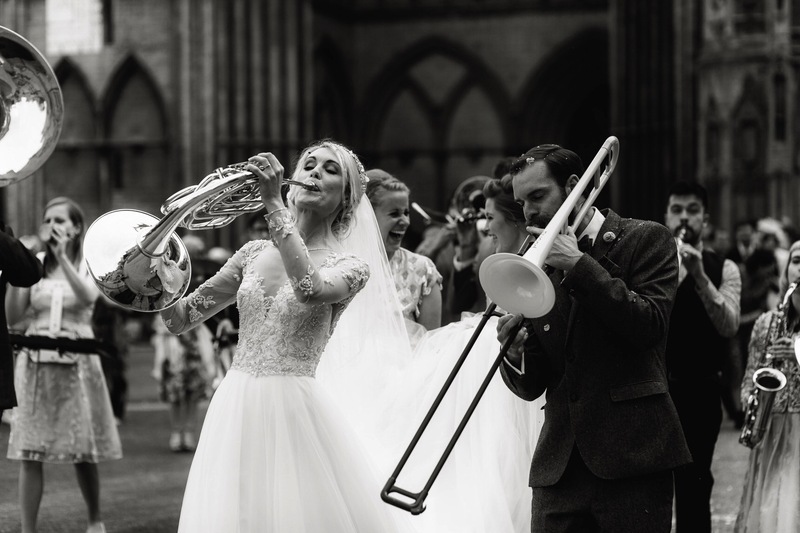 After the emotional ceremony at Peterborough Cathedral, Mickey and Emily decided to hold their very own street festival as they strolled from the Cathedral to the town centre, with all of their guests, drawing in a swarm of crowds as they played ‘National Anthem’ by Radiohead. 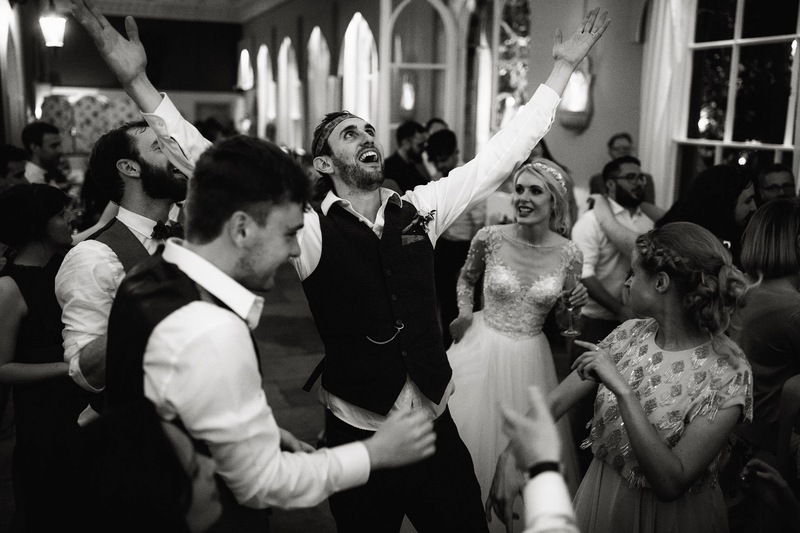 It was amazing and you can watch it here. 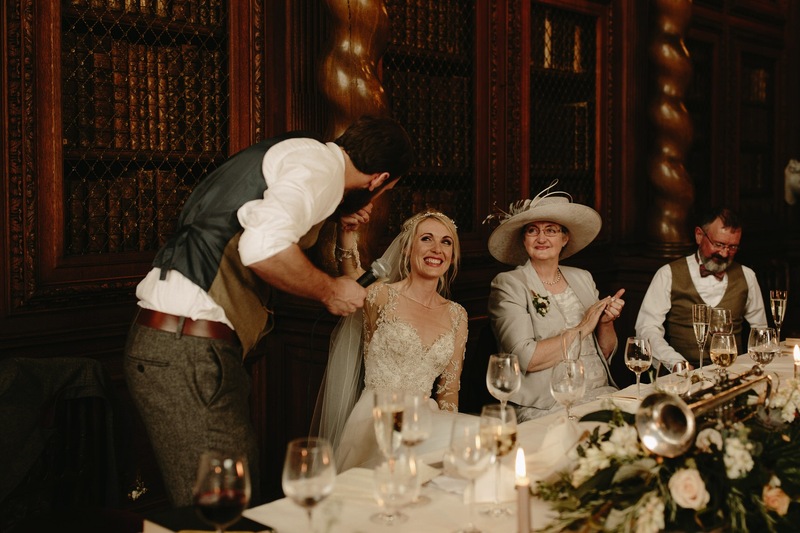 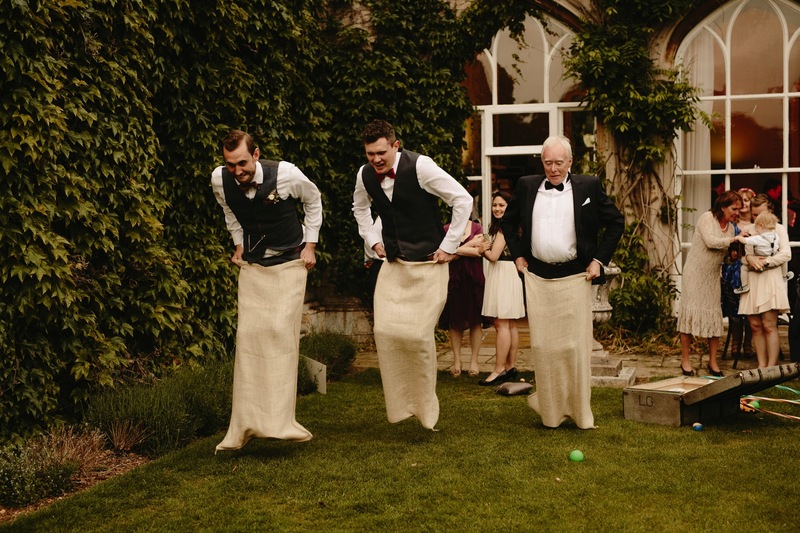 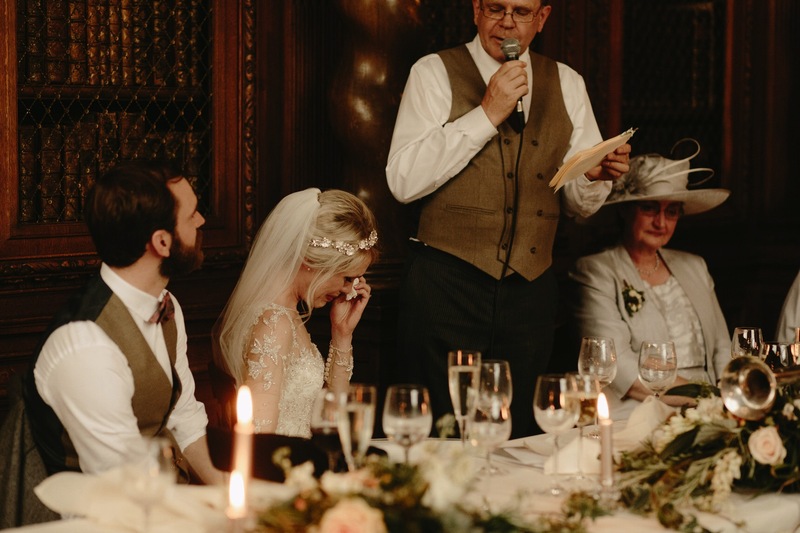 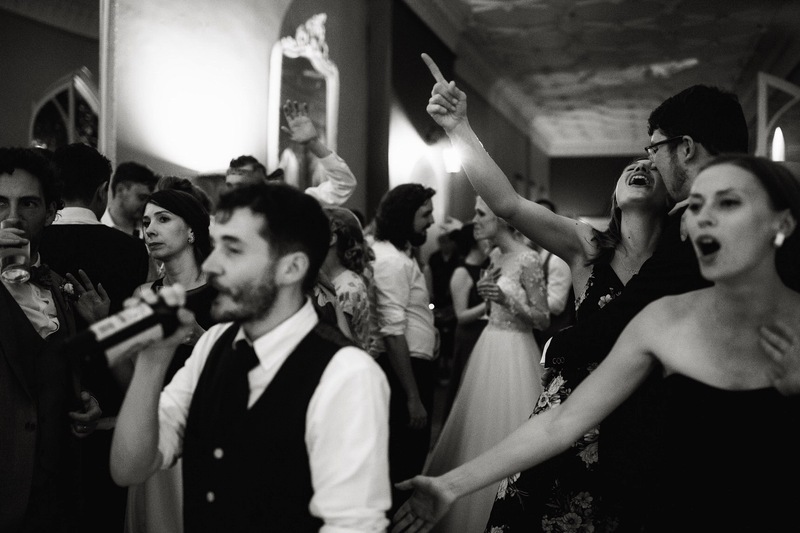 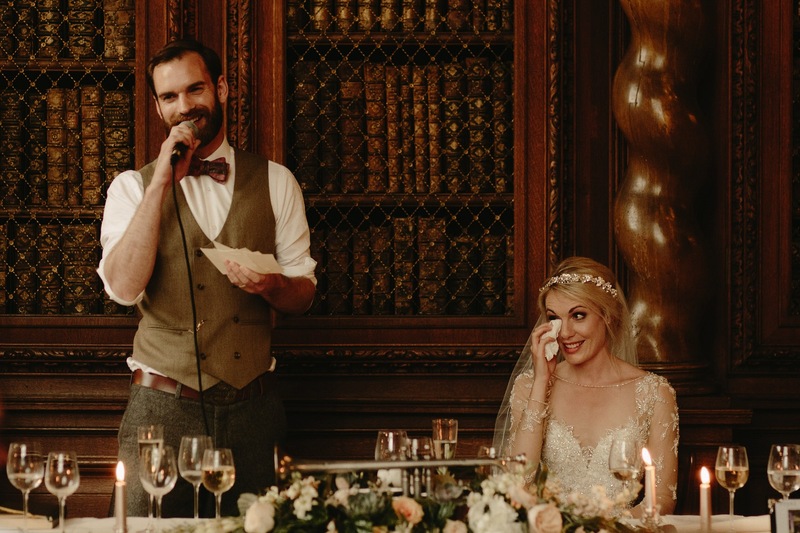 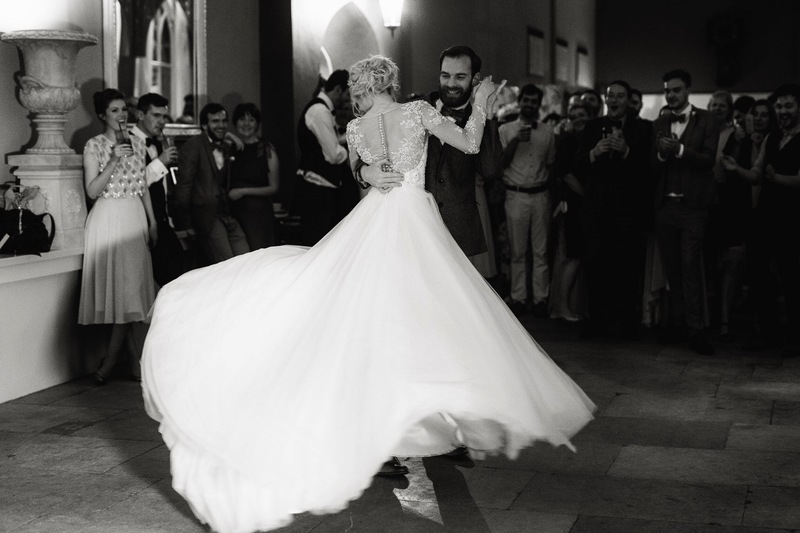 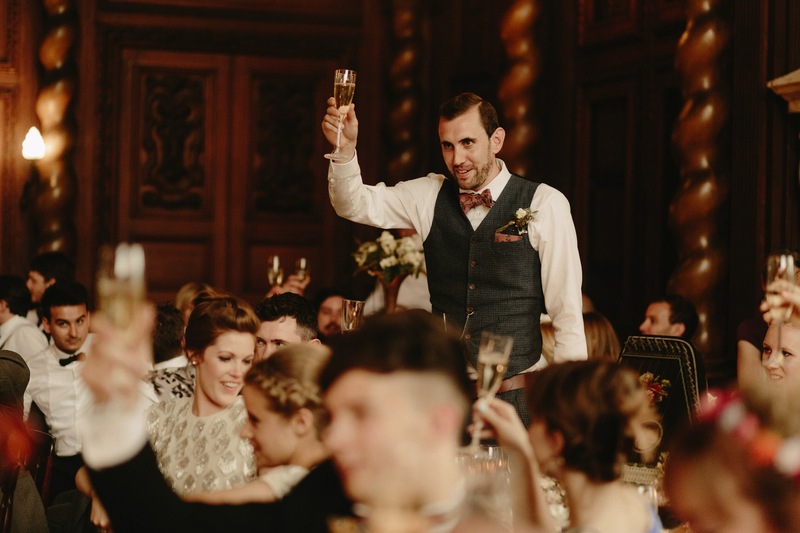 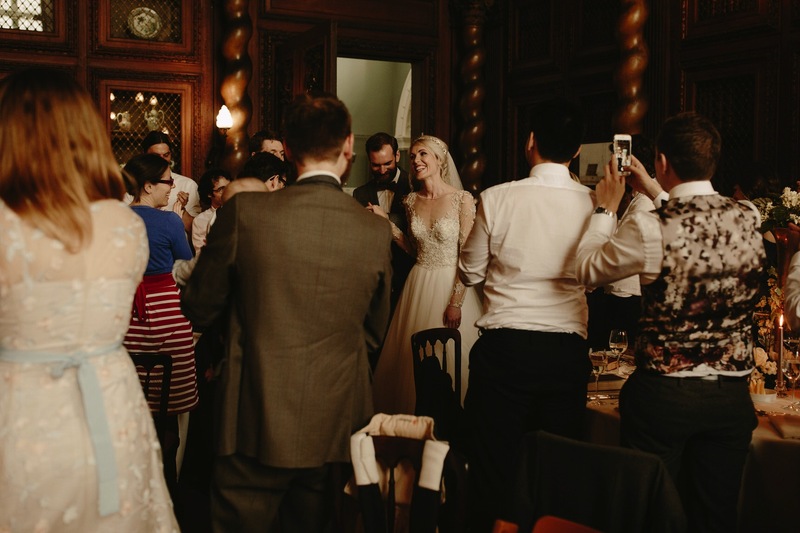 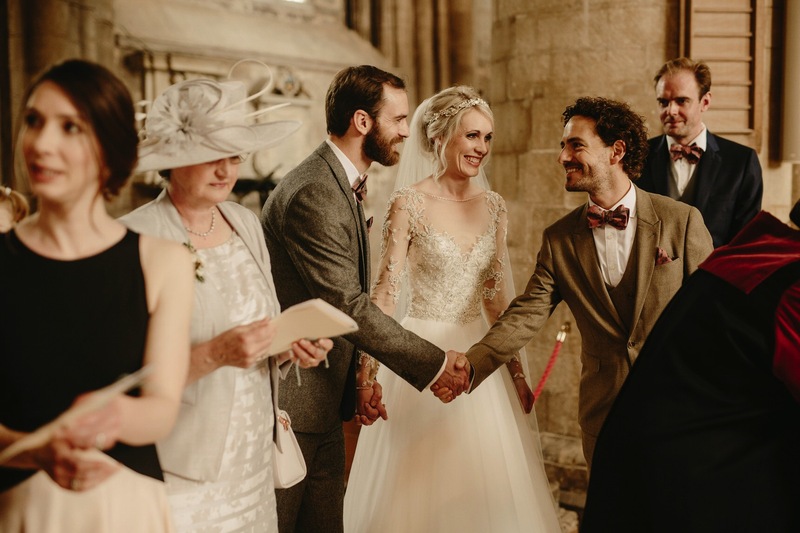 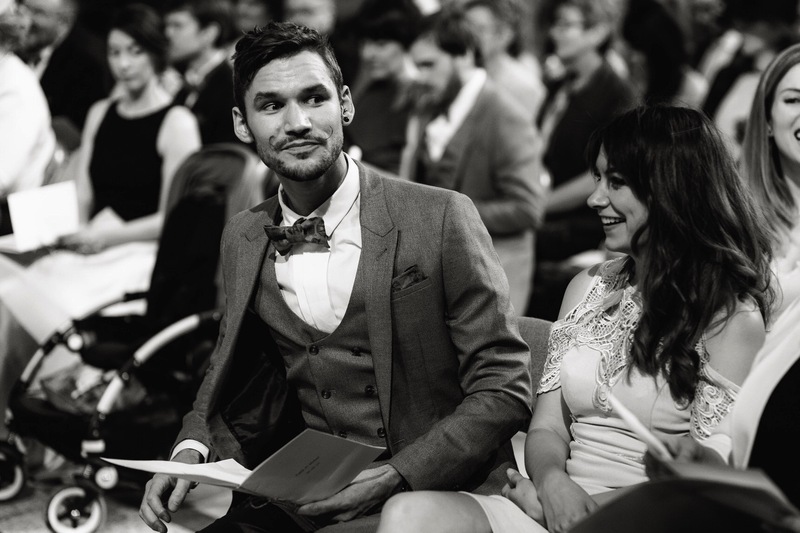 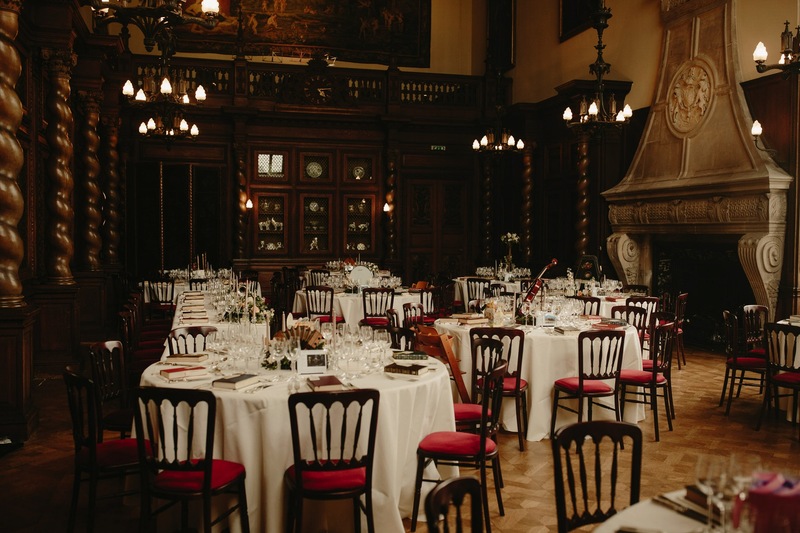 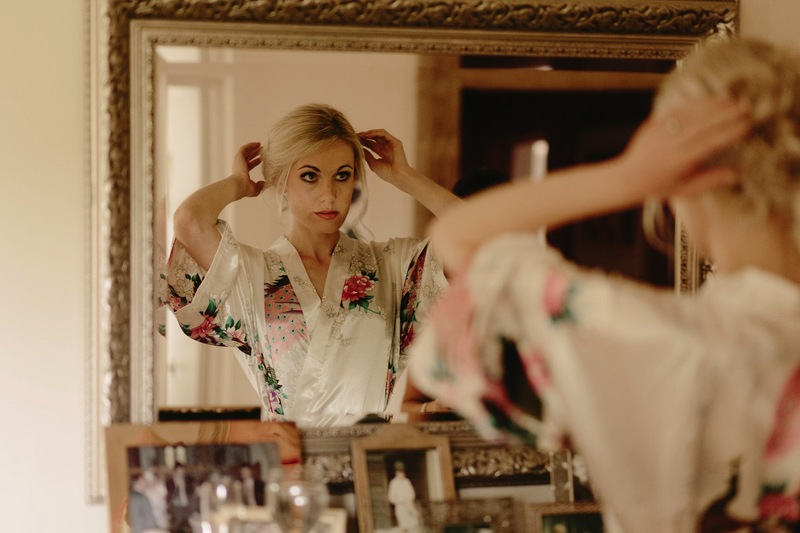 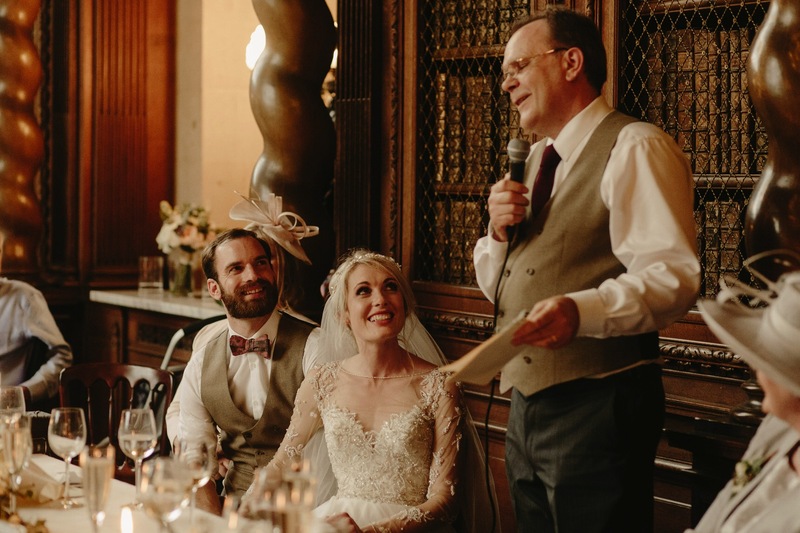 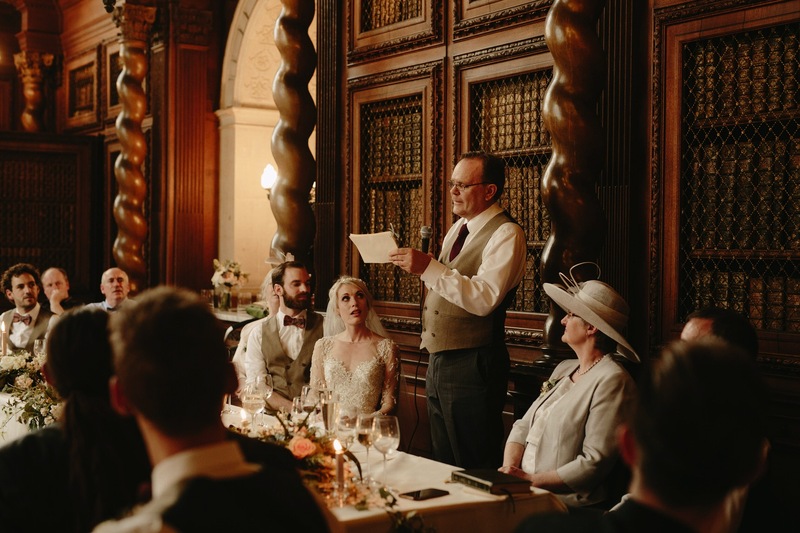 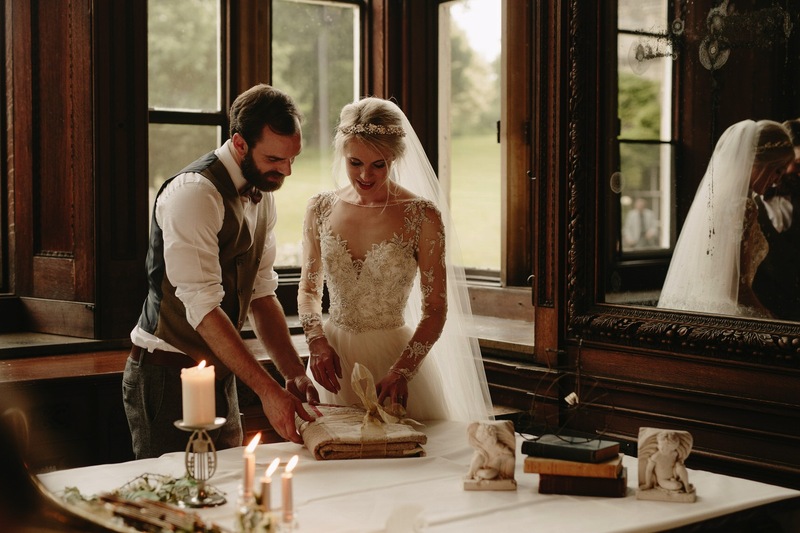 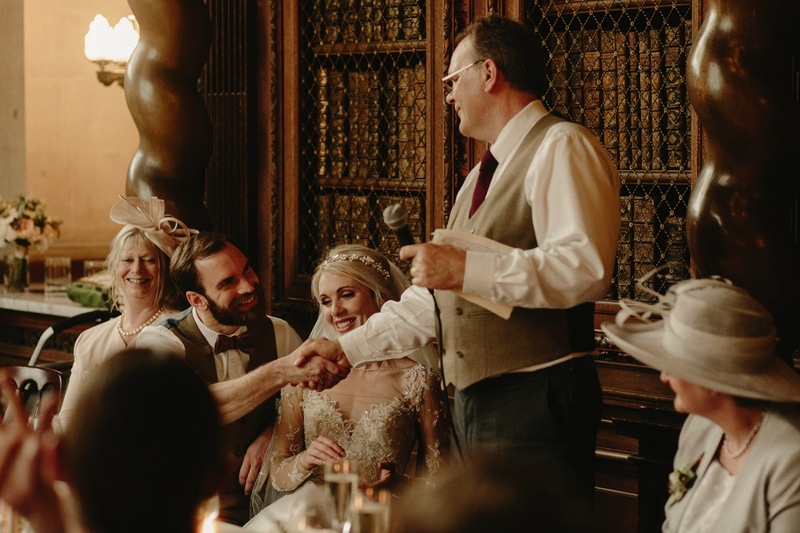 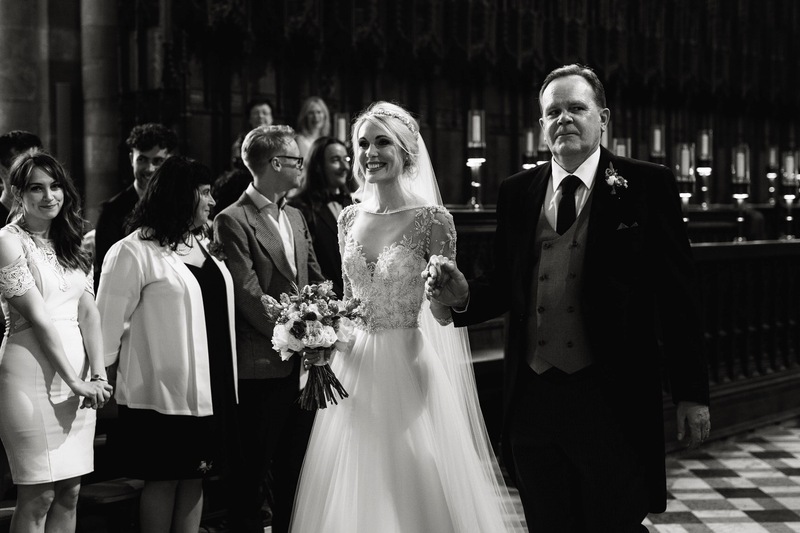 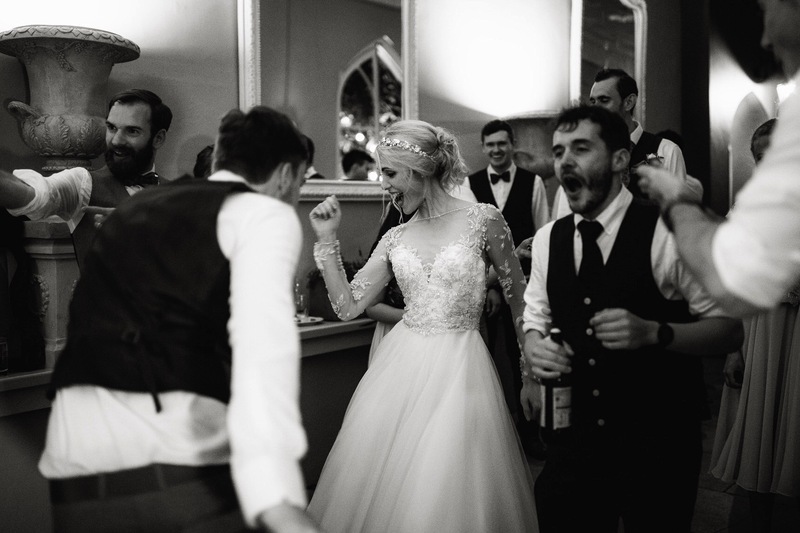 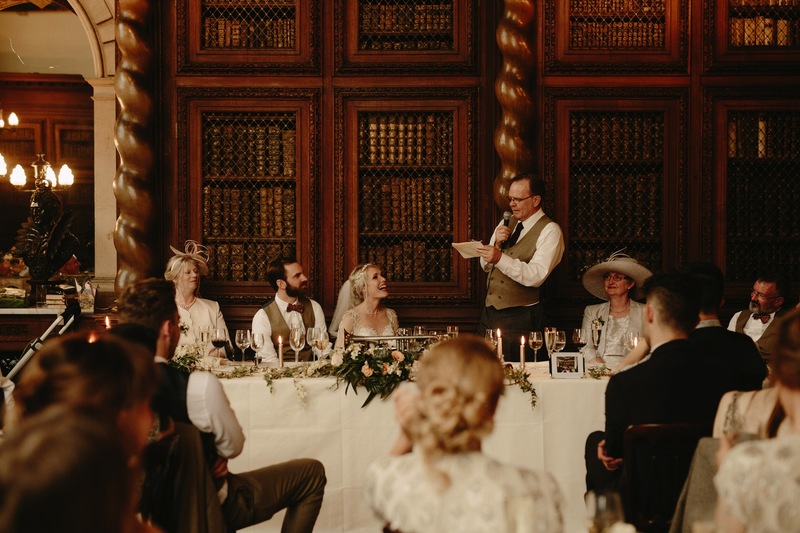 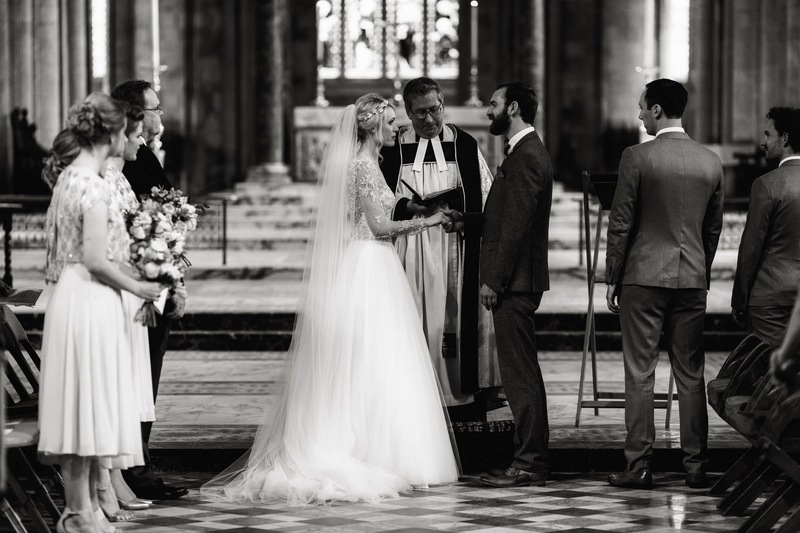 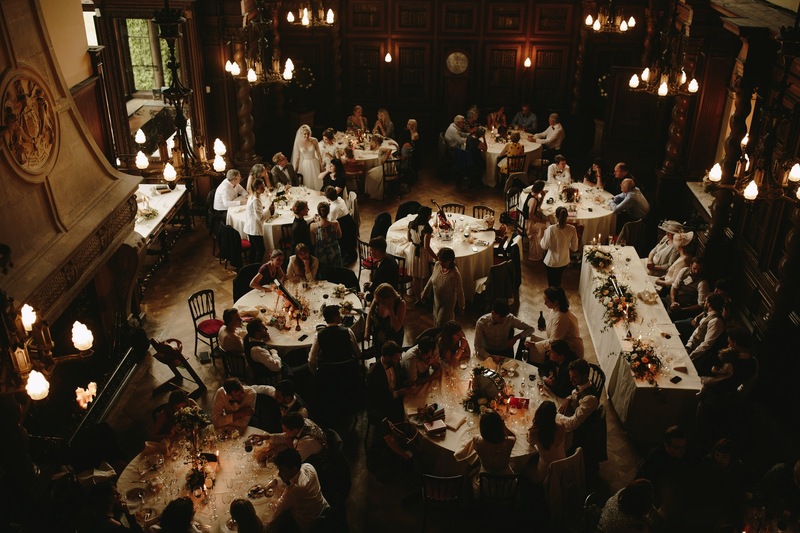 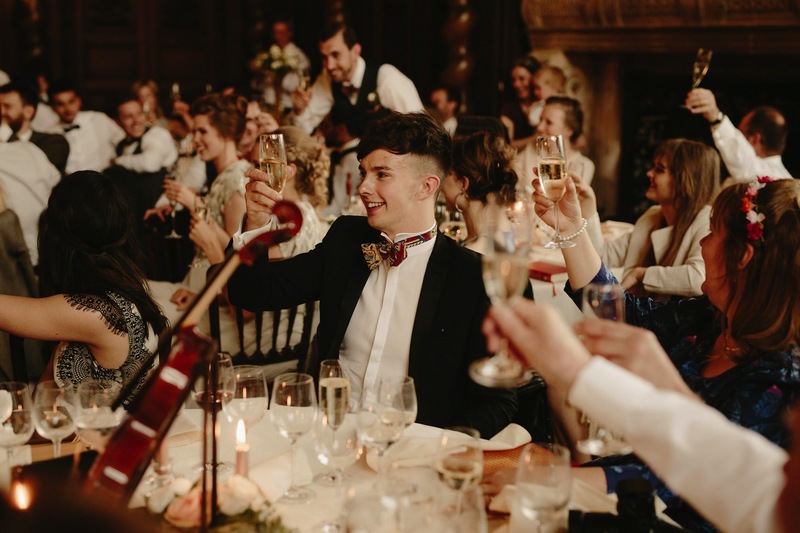 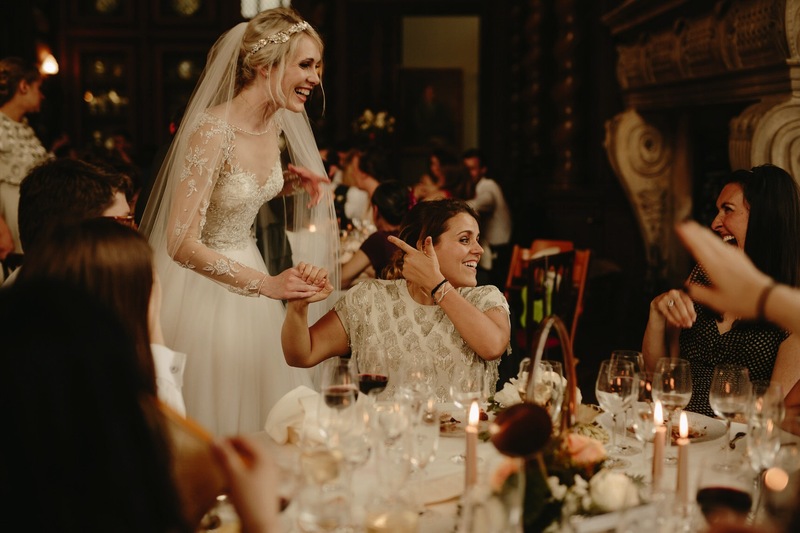 After the impromptu festival, the reception took place at the stunning Burghley House where everyone wined, dined and shared words of great sentiment with each other. 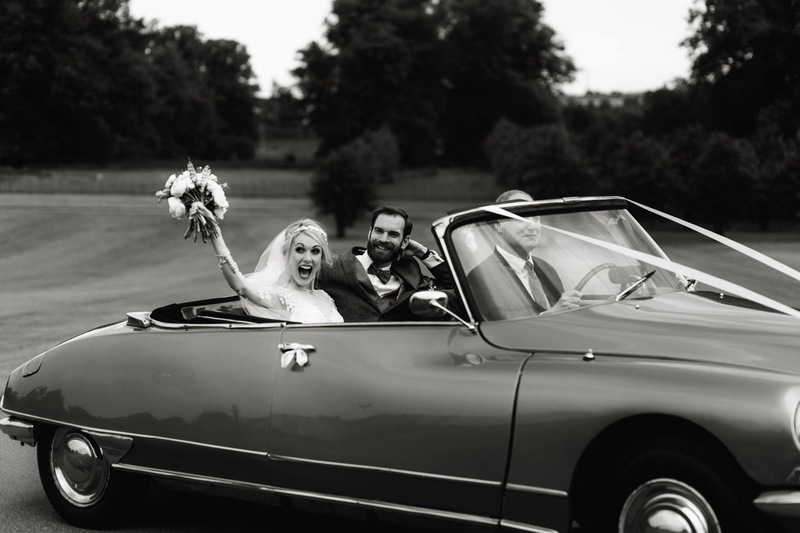 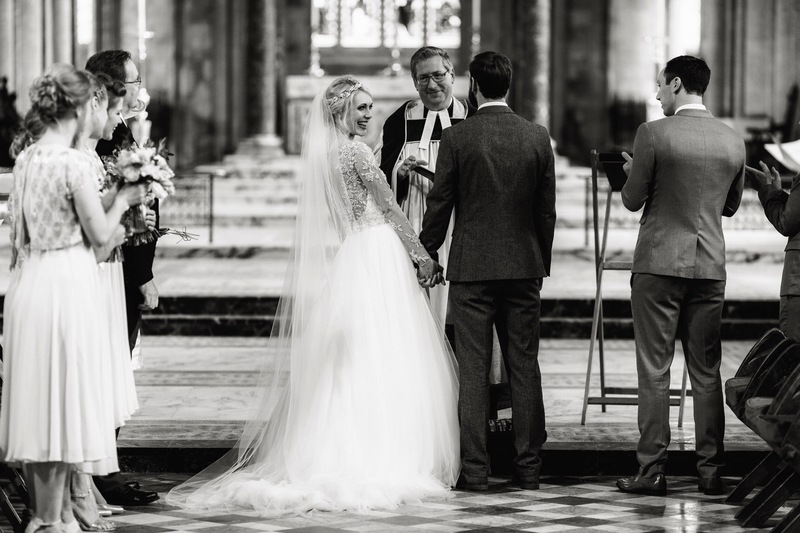 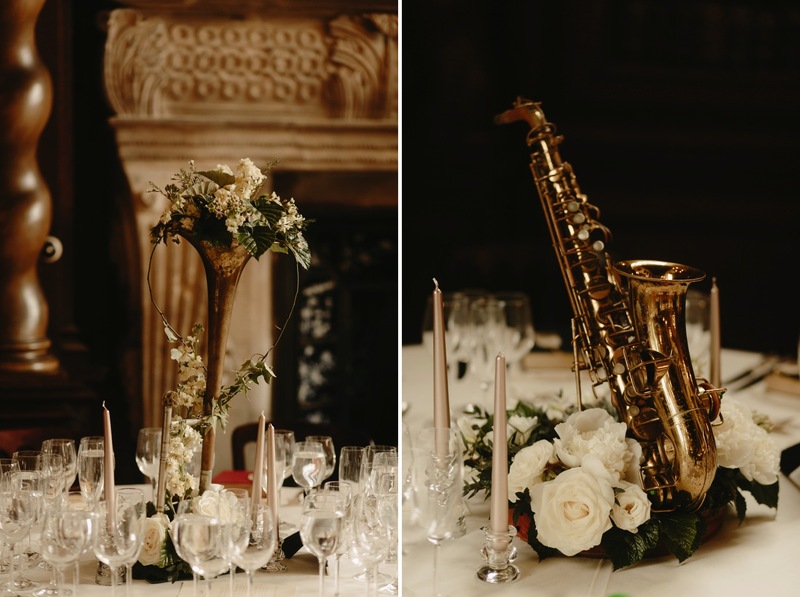 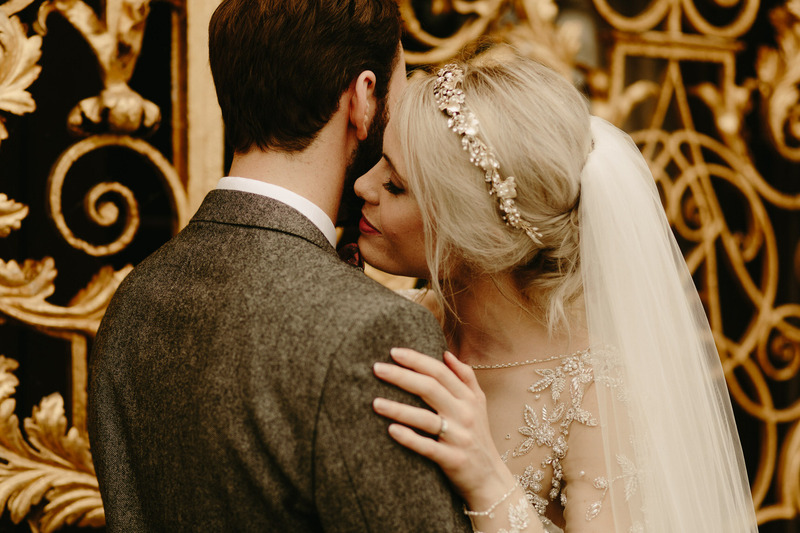 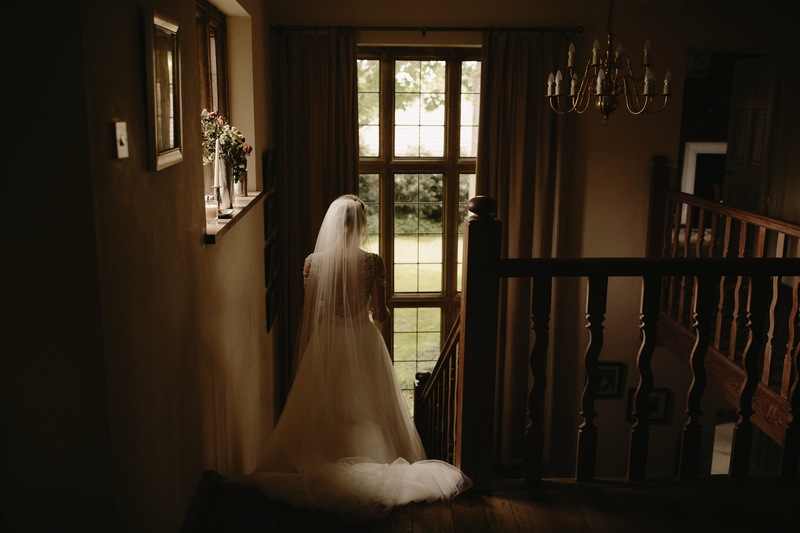 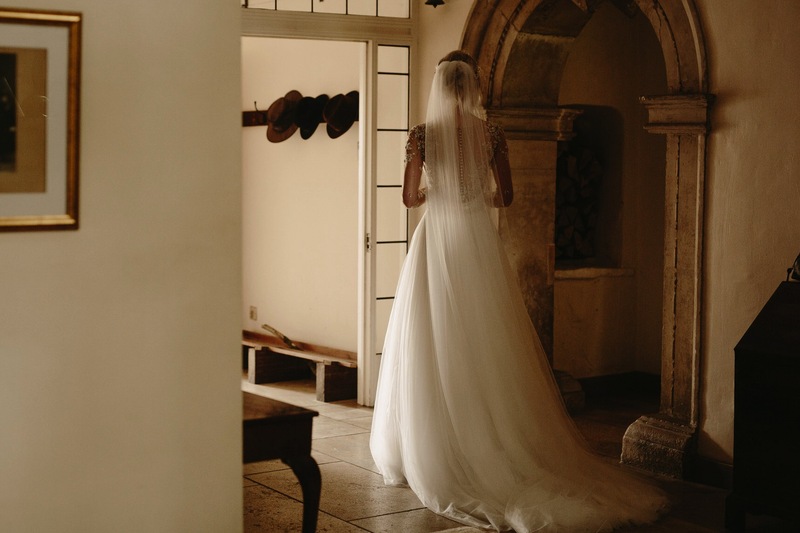 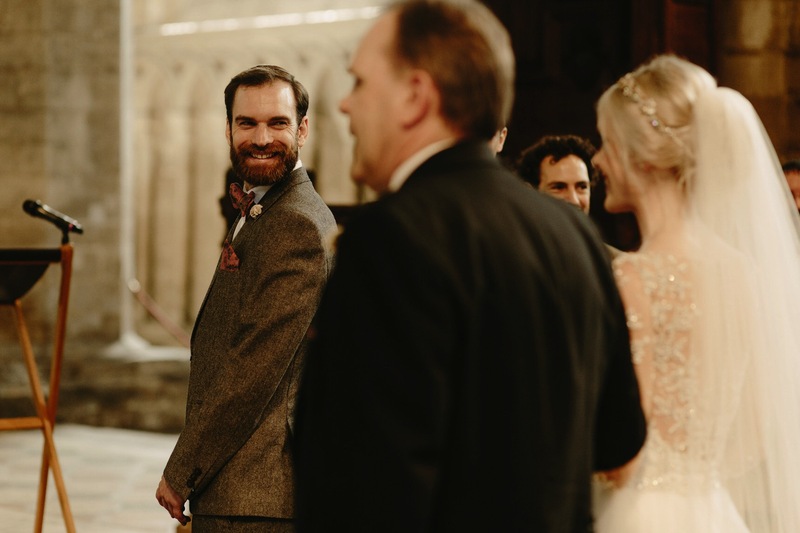 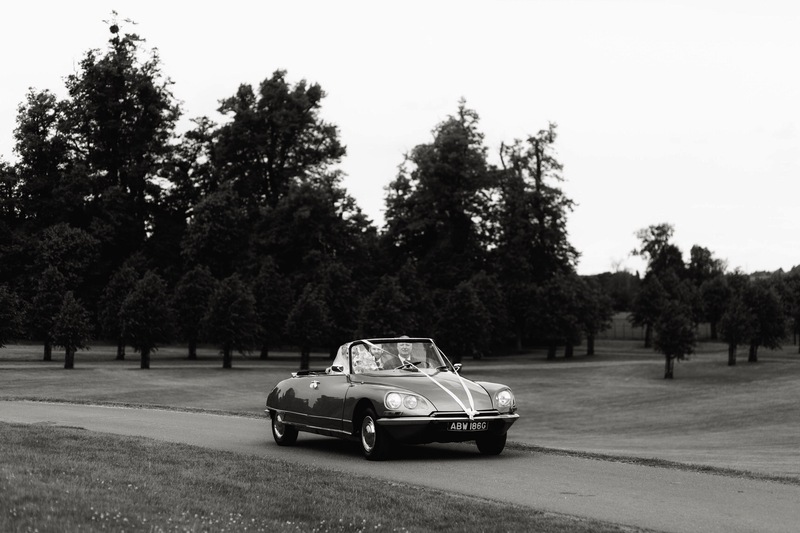 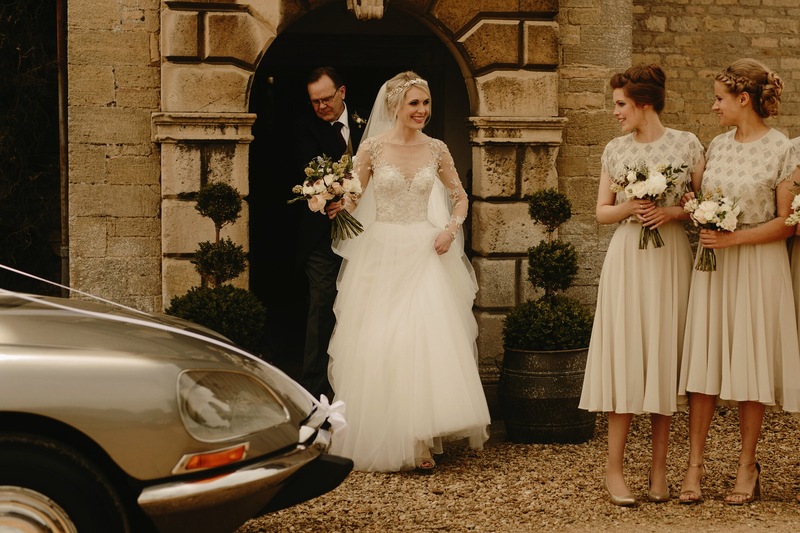 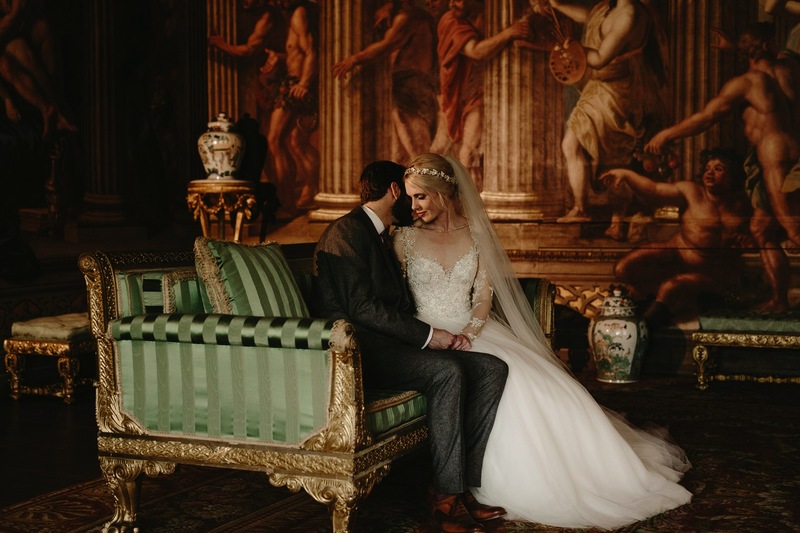 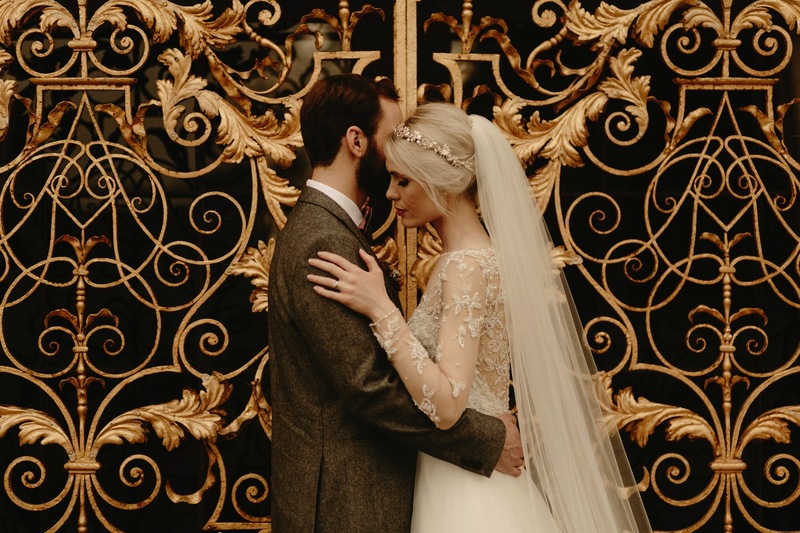 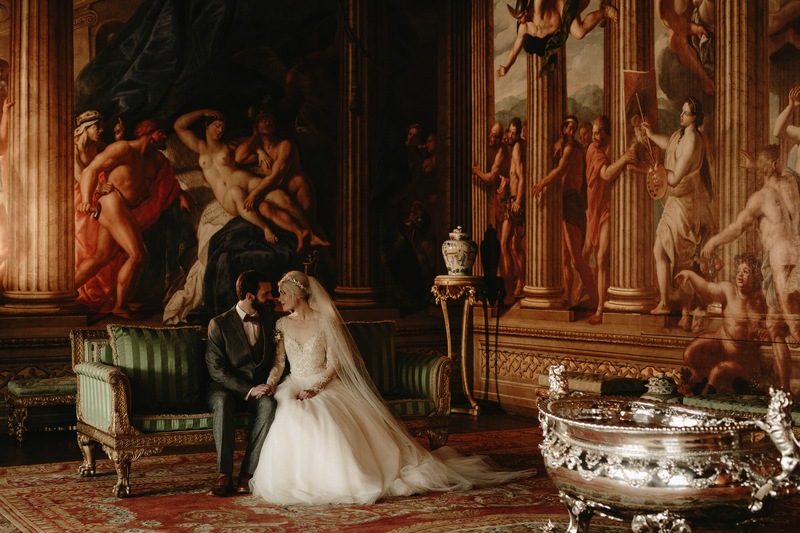 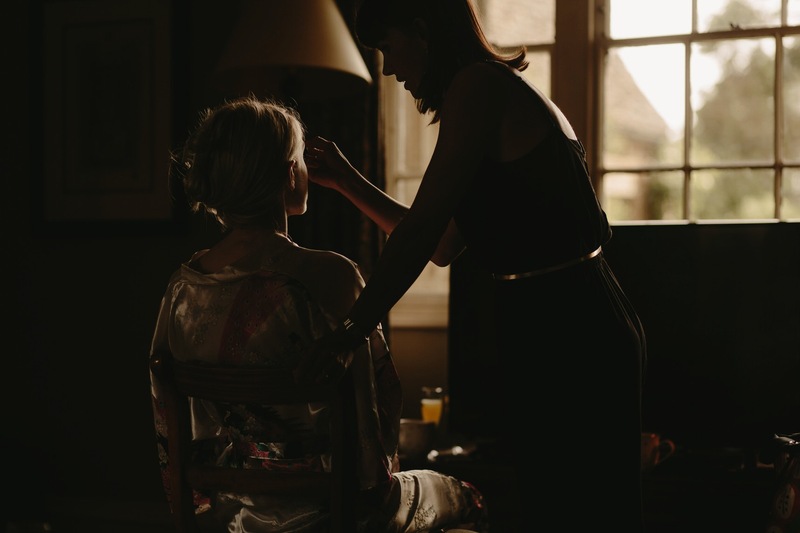 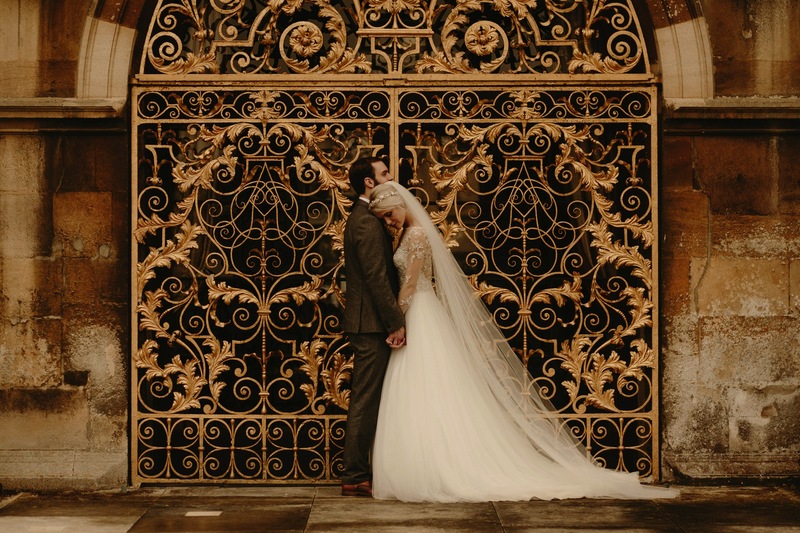 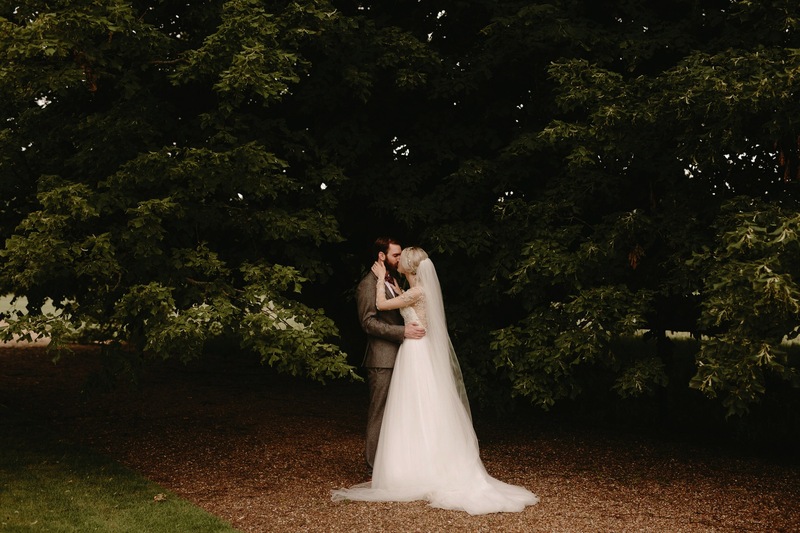 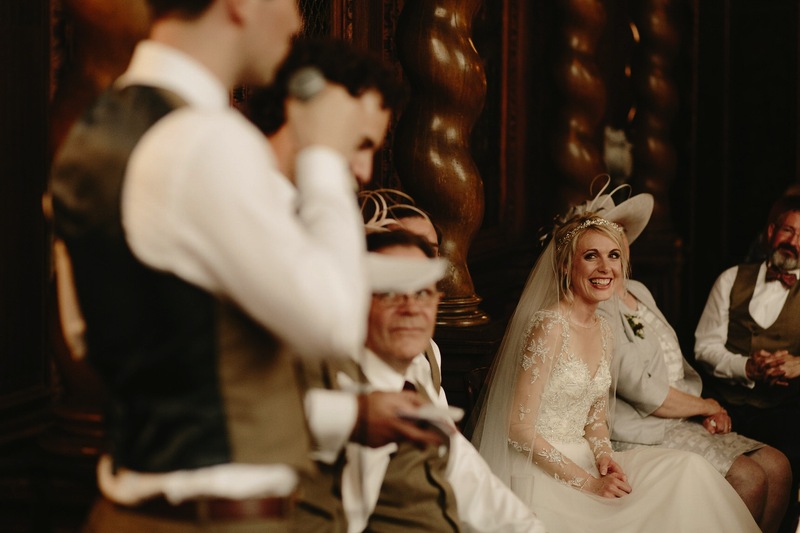 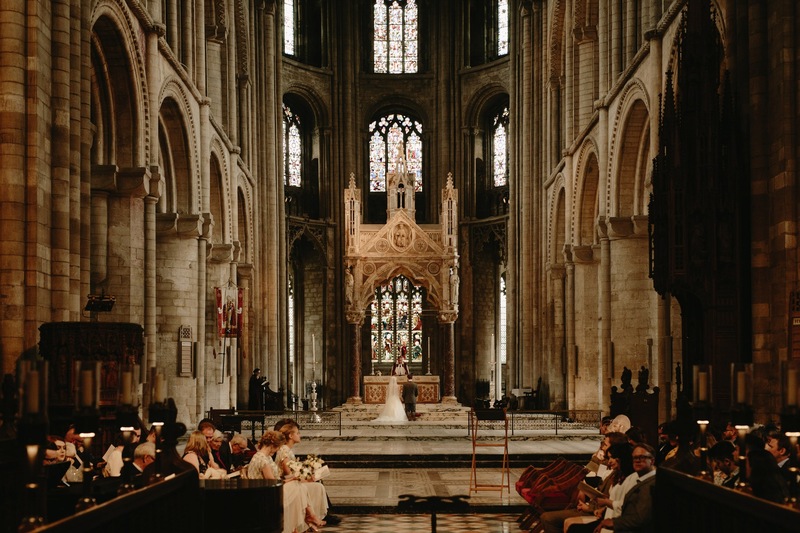 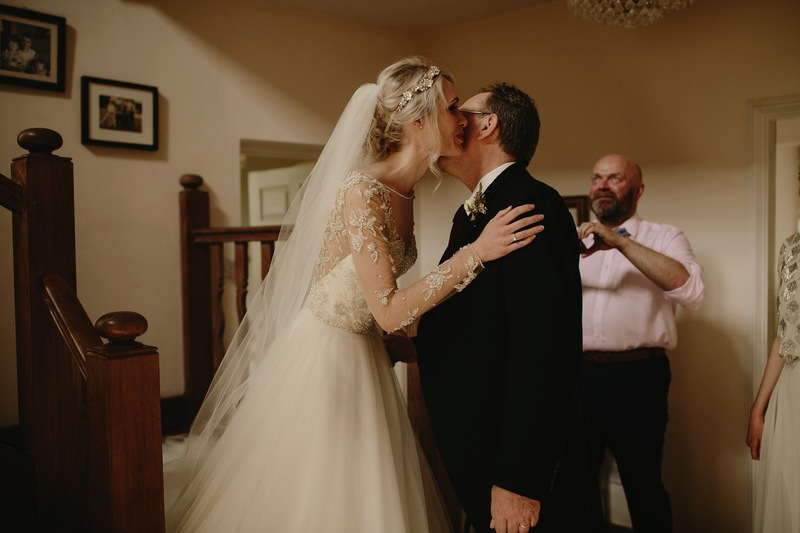 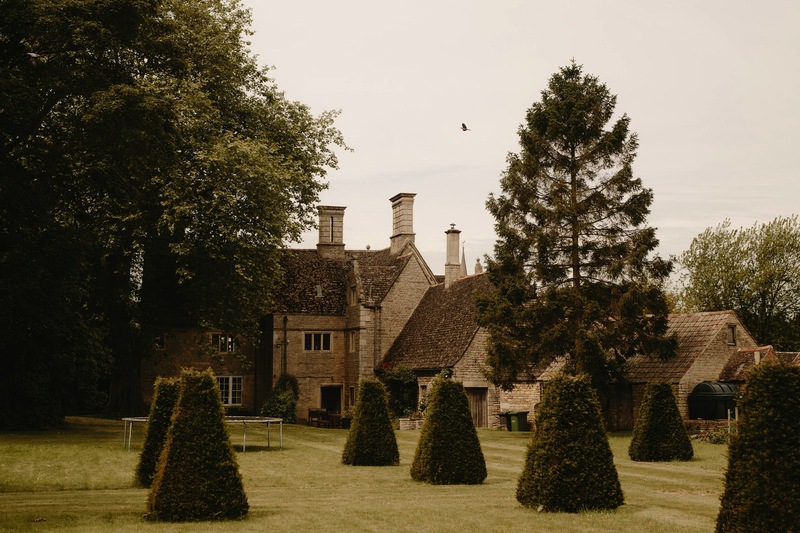 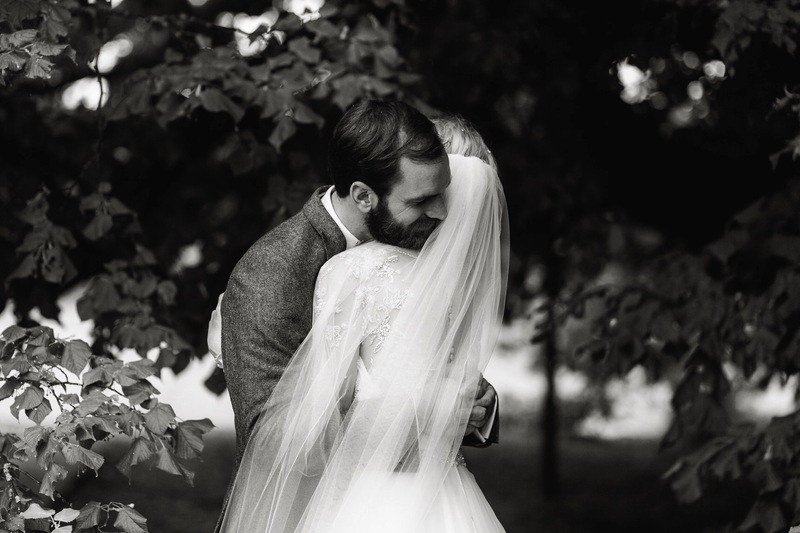 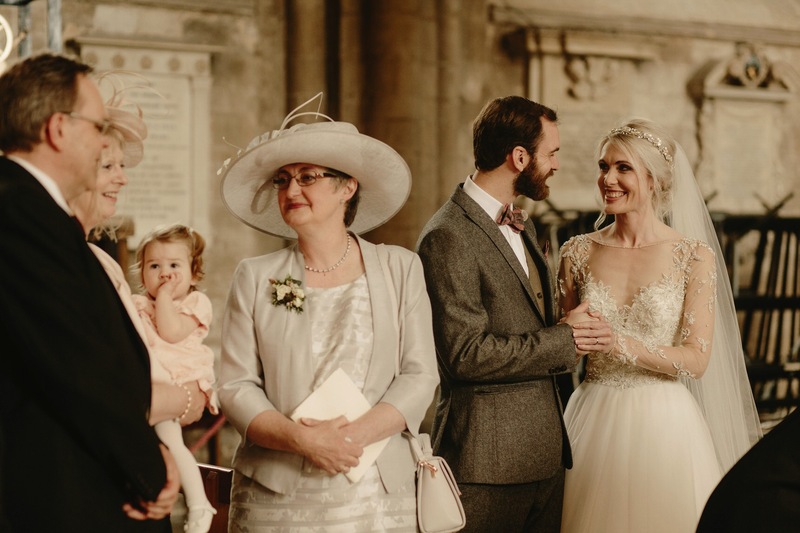 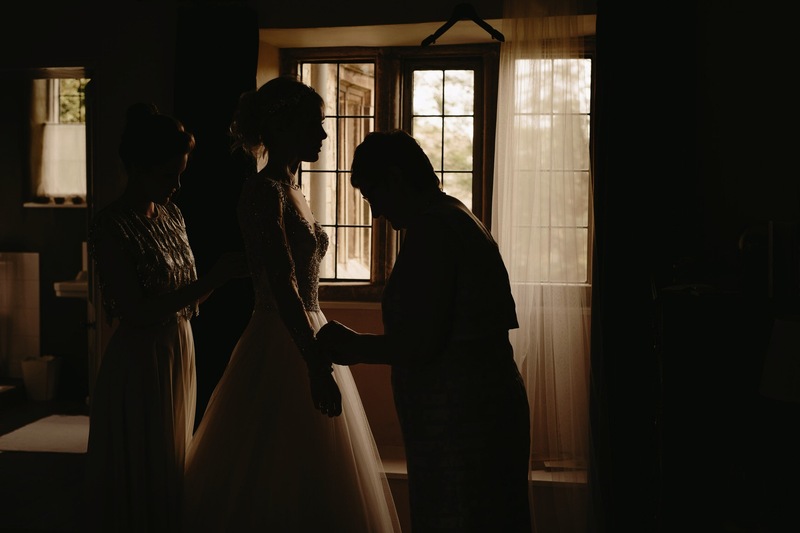 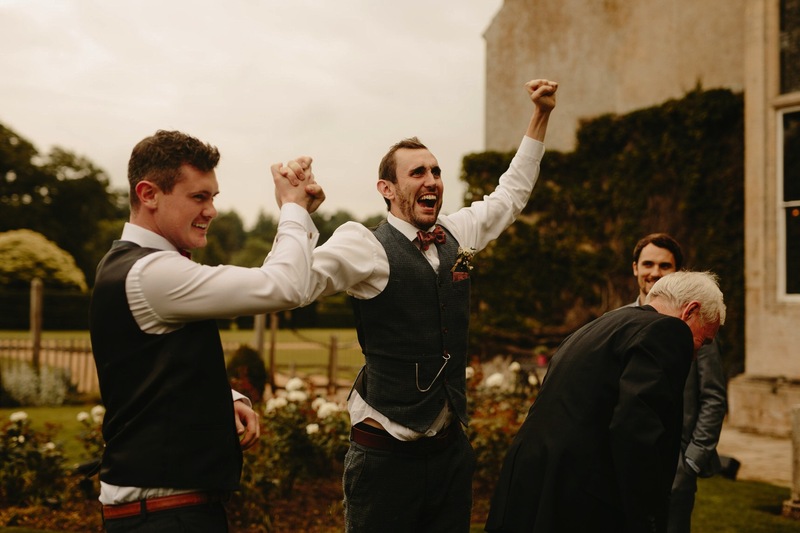 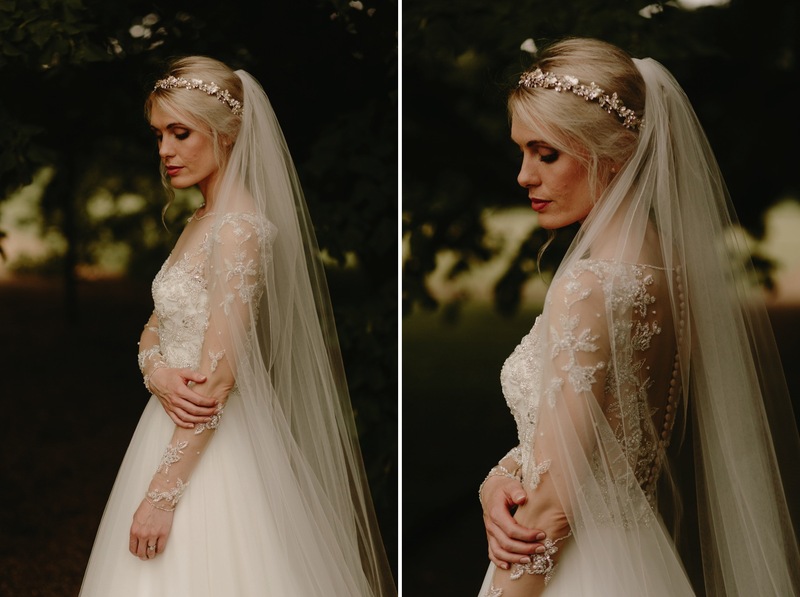 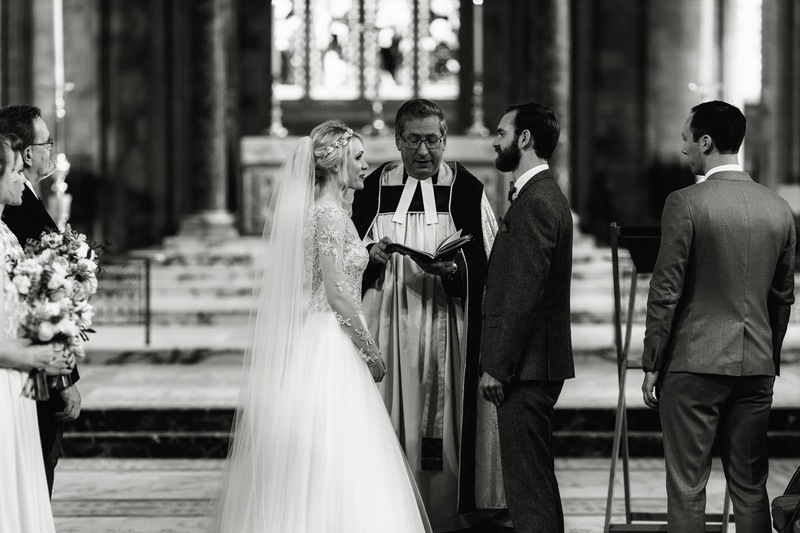 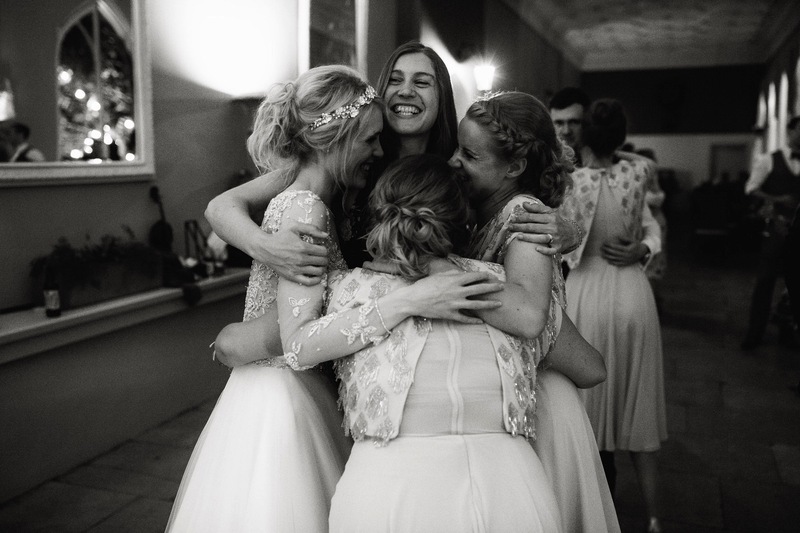 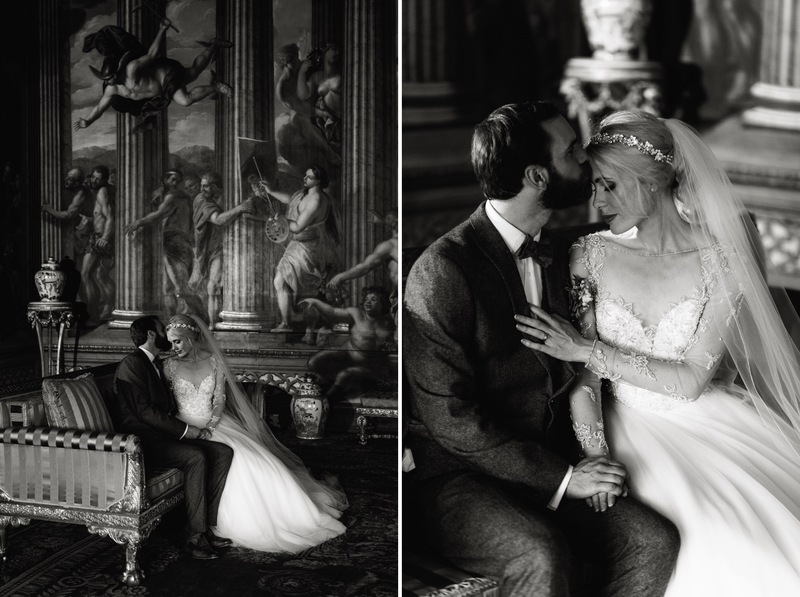 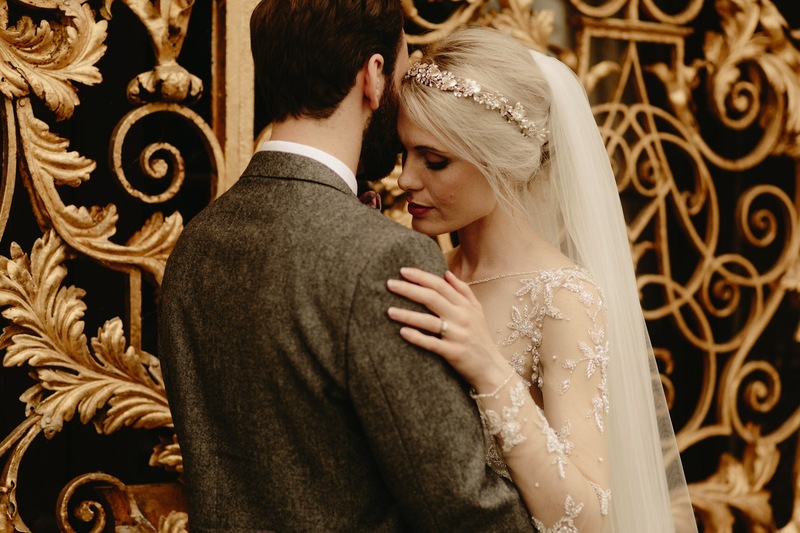 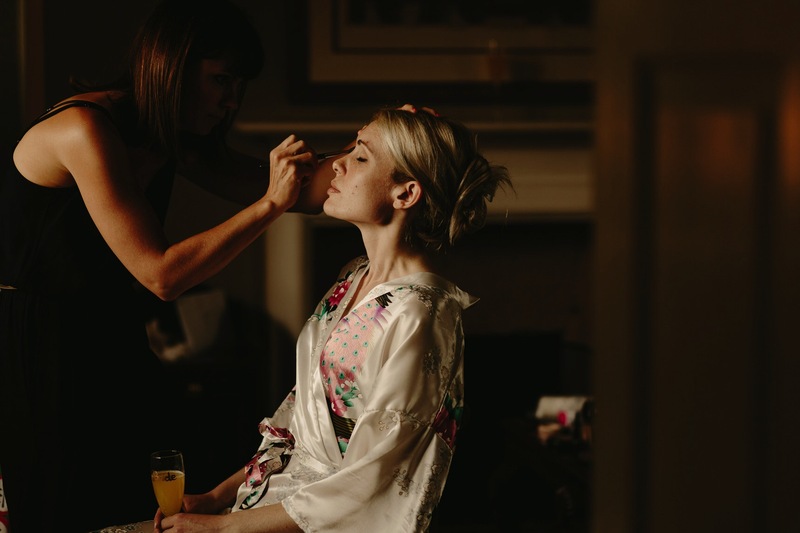 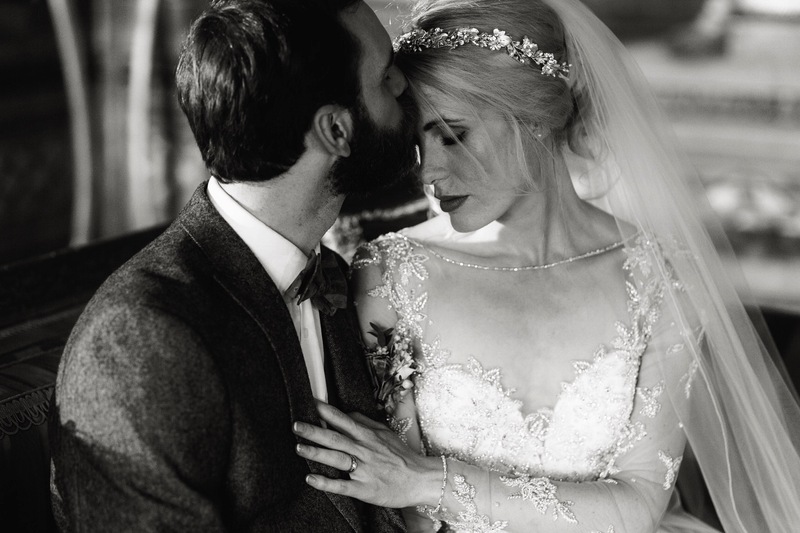 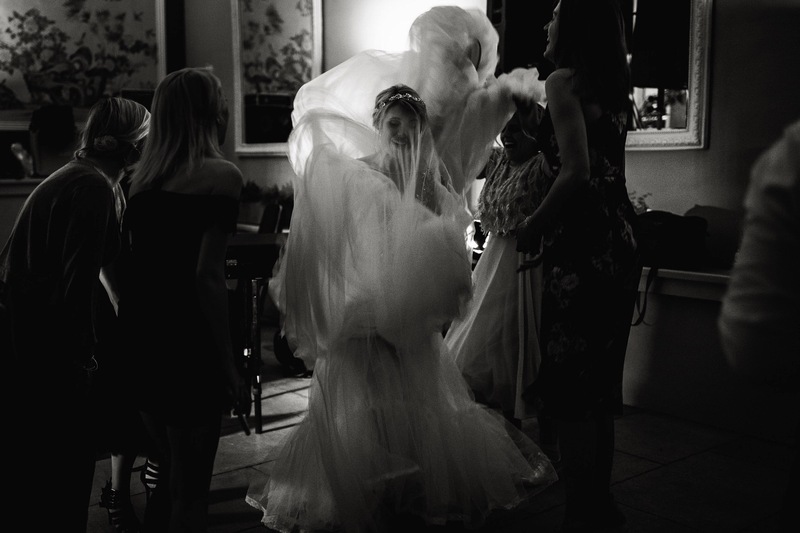 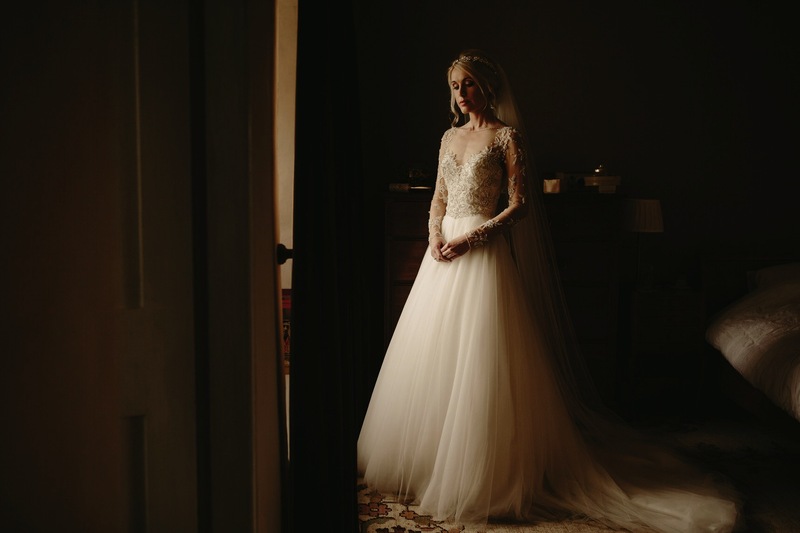 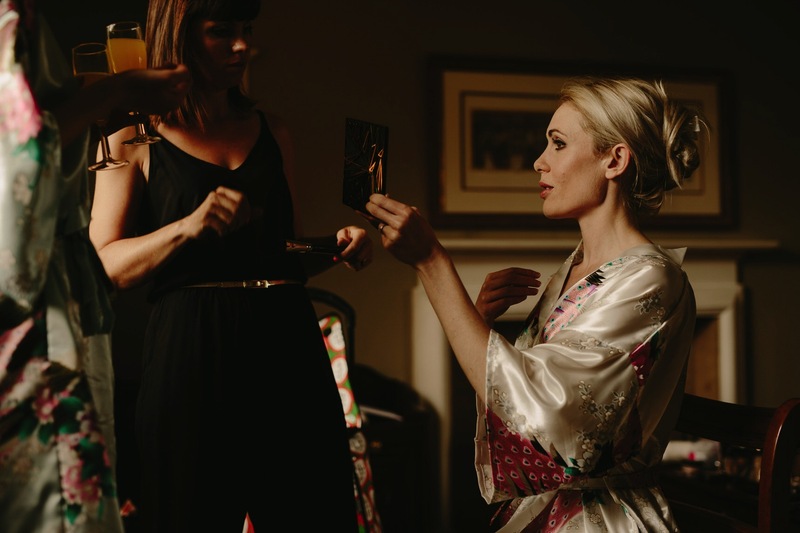 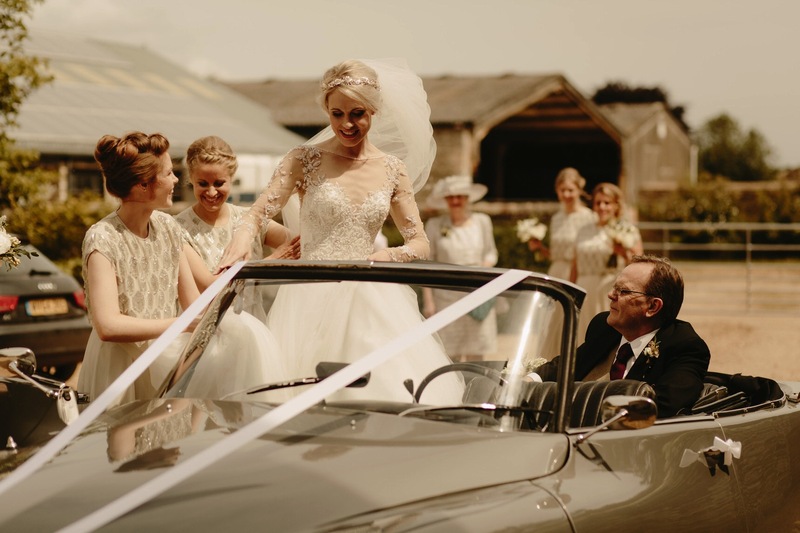 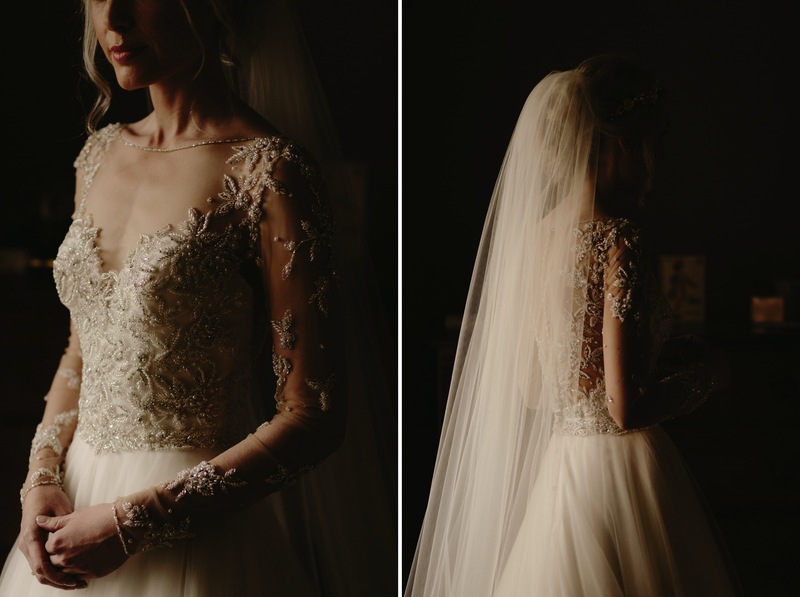 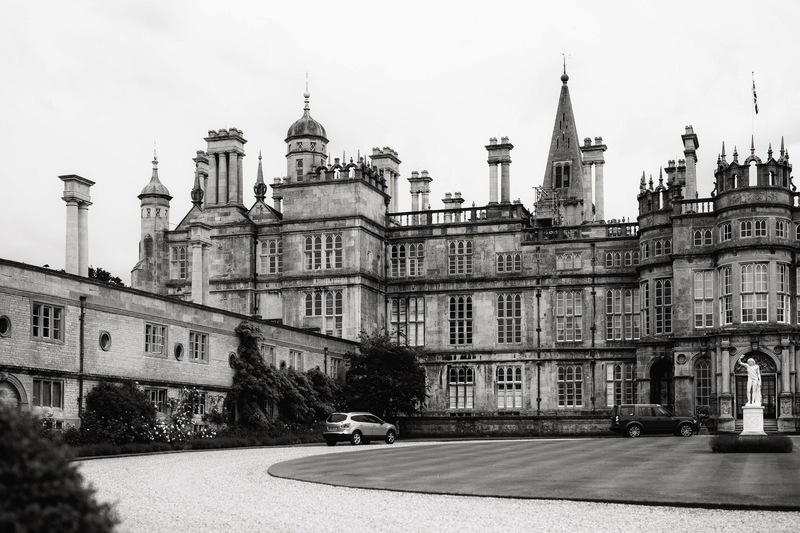 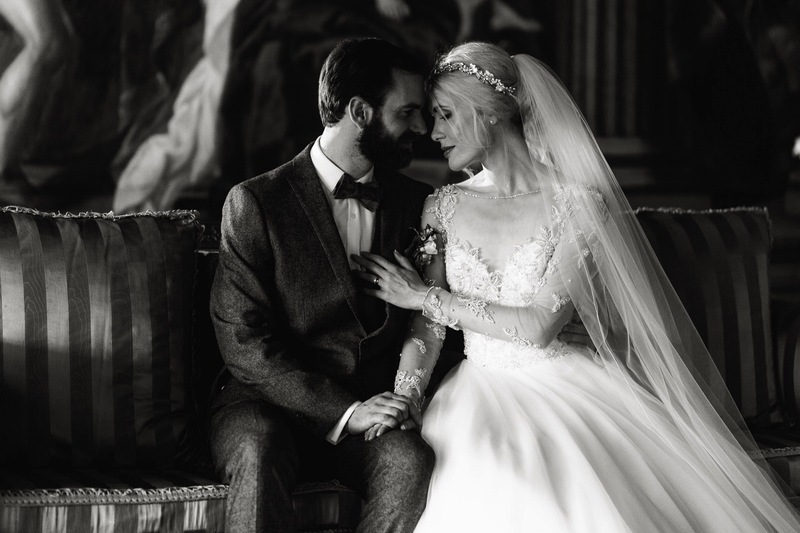 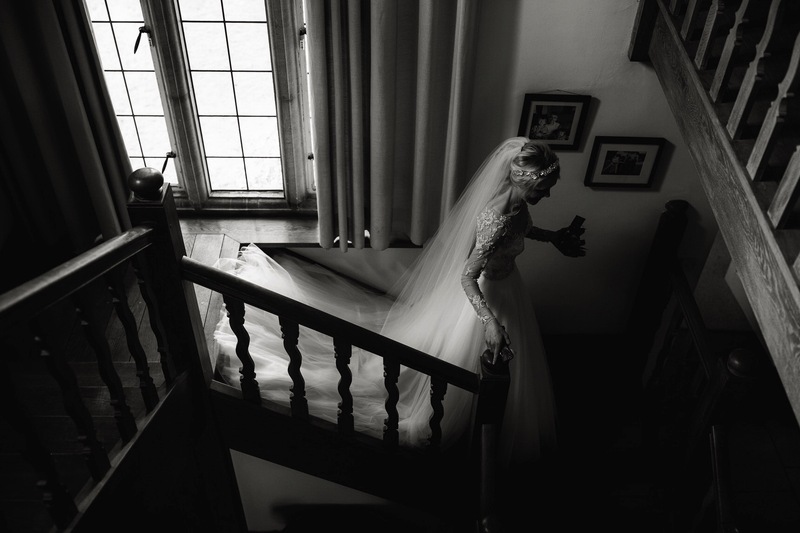 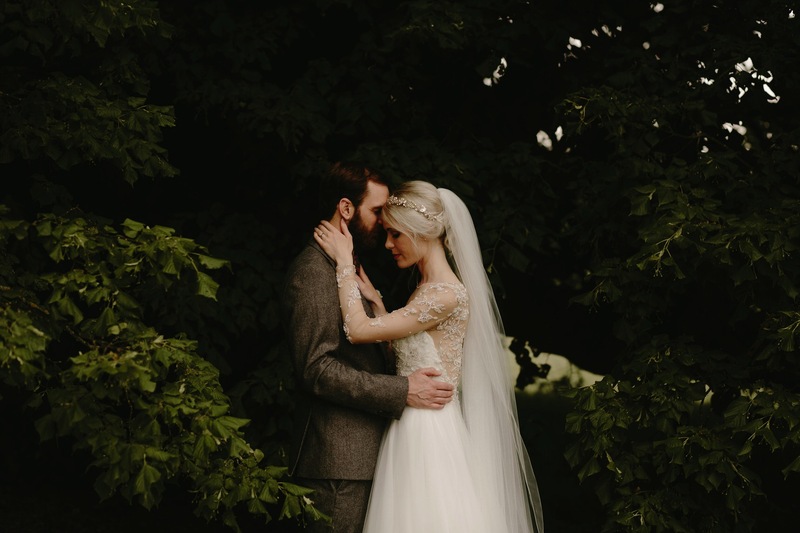 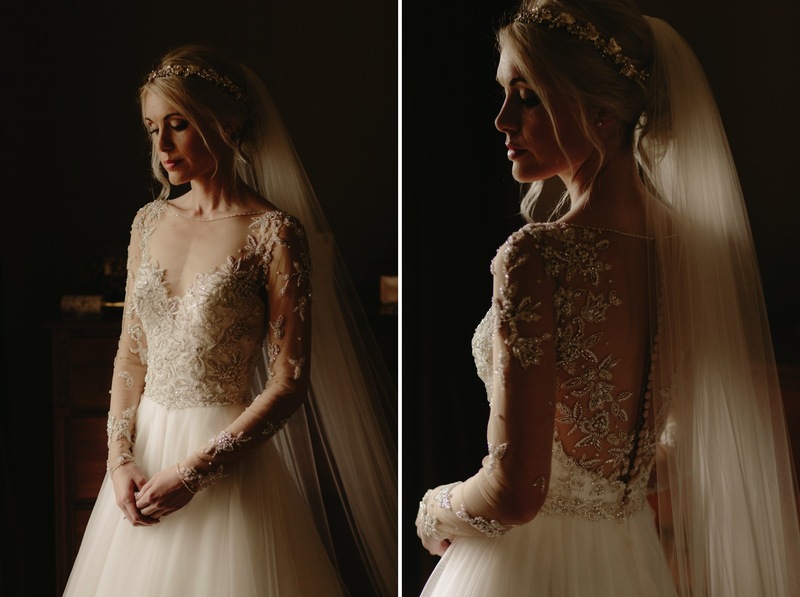 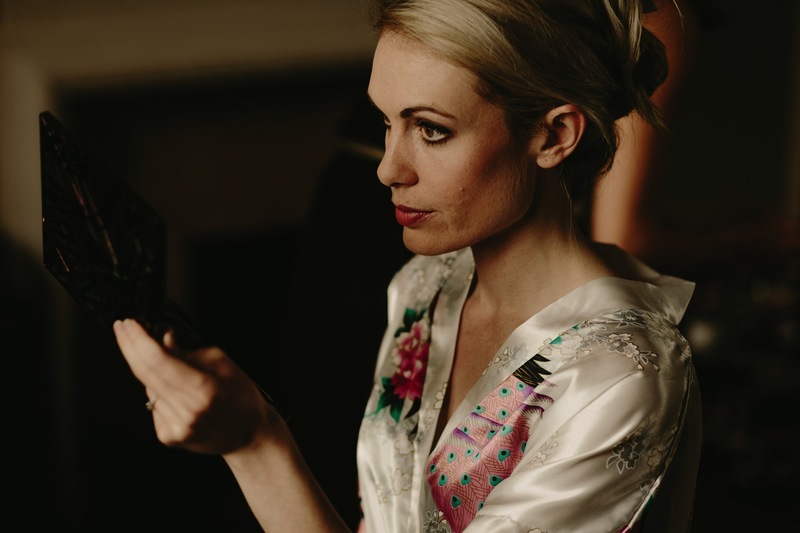 This was Burghley House wedding was such an incredible day to be a part of – full of style, elegance and emotion throughout.